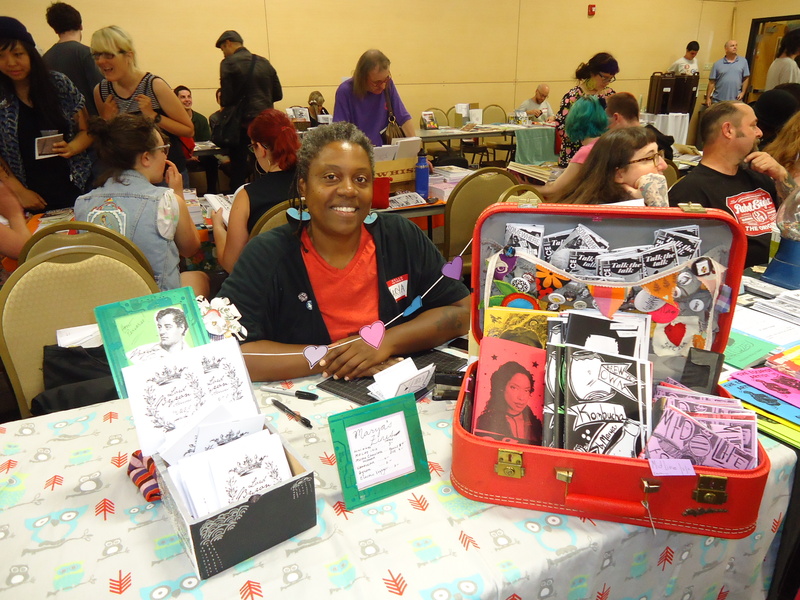 WOC Zine Workshops founder Tonya Jones welcomes first baby and newest ally to women of color zines!! 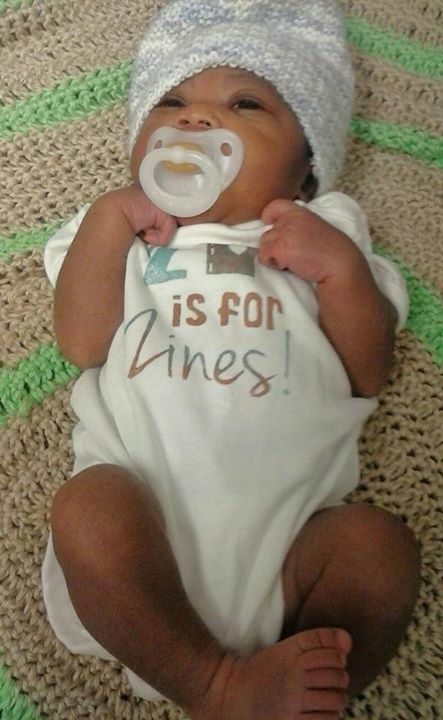 (Onesie by Sally Lee). 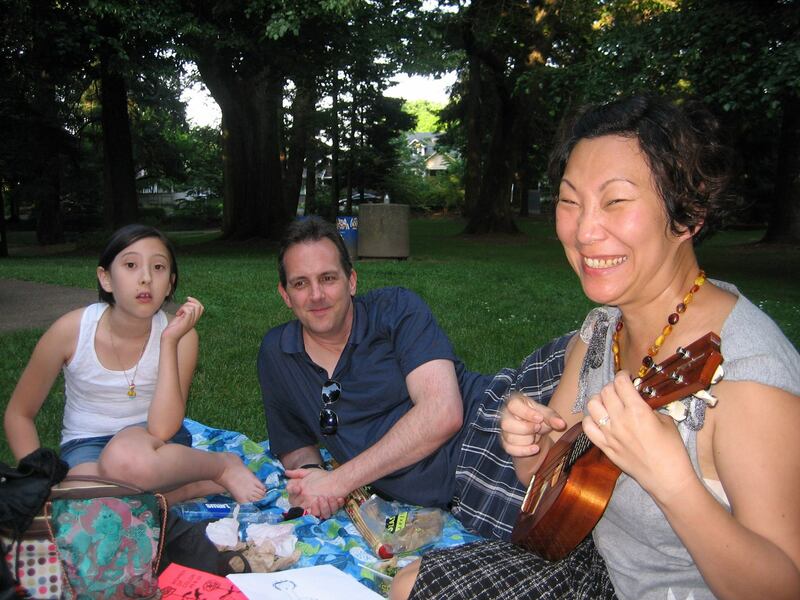 Zinester/DIY extraordinaire Sally Lee plays the ukulele while family looks on at WOC Zine Workshops release party. 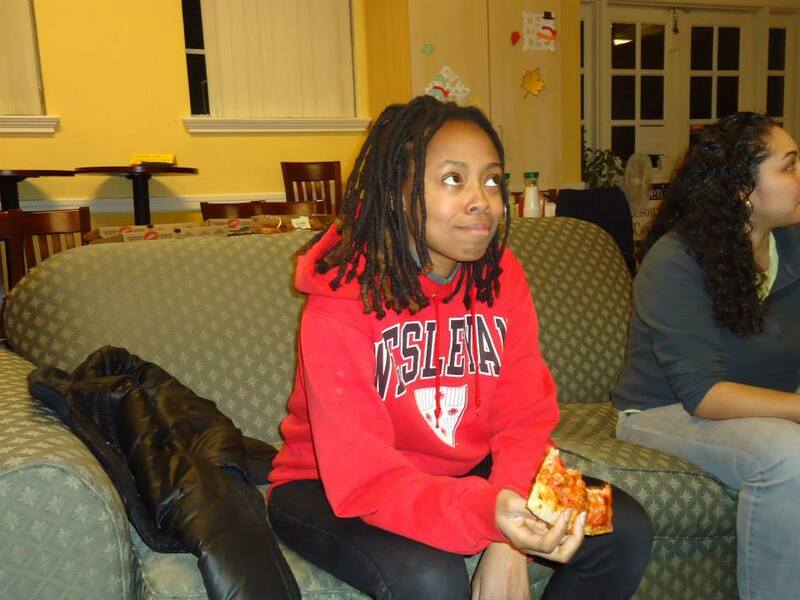 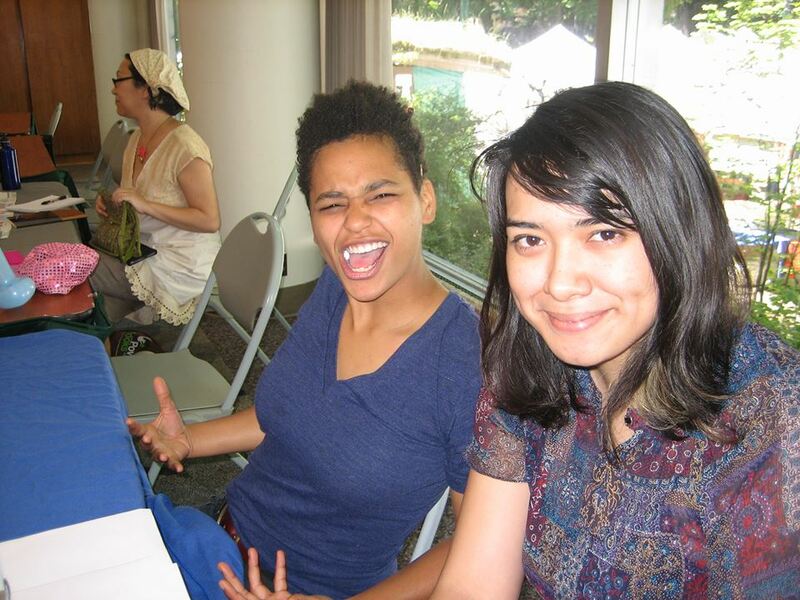 Writer Olivia Olivia and community activist Phoenix relax with fellow WOC Zine members. 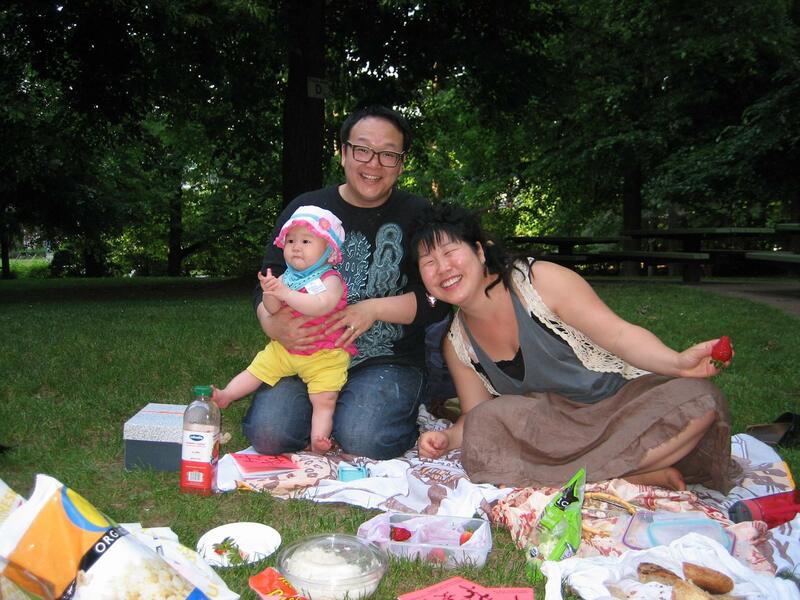 Zinester Ann Matsushima Chiu and family at WOC Zine Workshops picnic gathering. 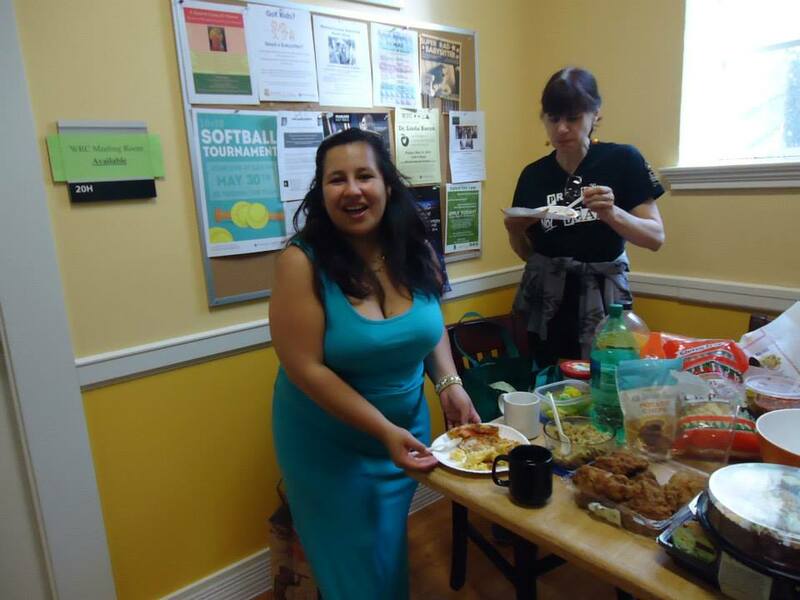 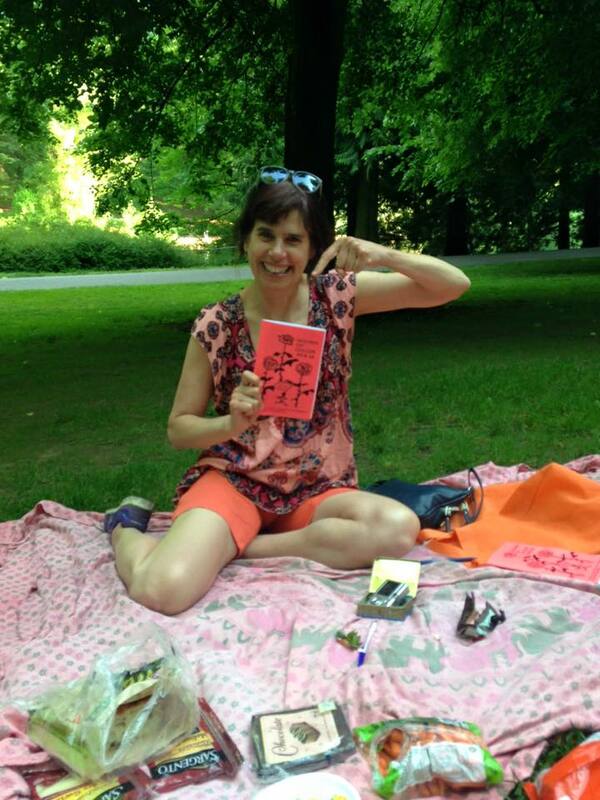 The WOC Zine Workshops host a picnic at Laurelhurst Park to celebrate the release of “Women of Color: How to Live in the City of Roses and Avoid the Pricks” issue #9/10 on Friday, May 29, 2015. 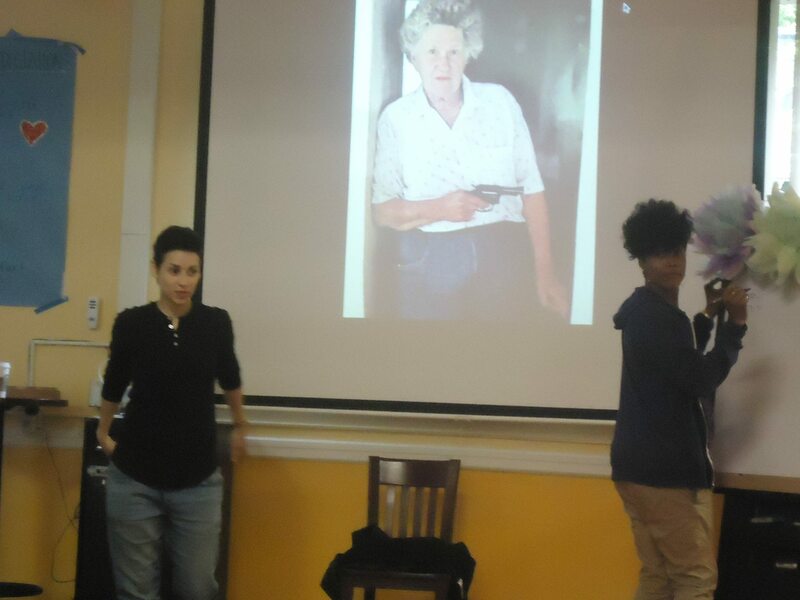 Tessara (local writer/community activist), Denice Frohman (co-founder of Sister Outsider) and Tonya happy the workshop went well. 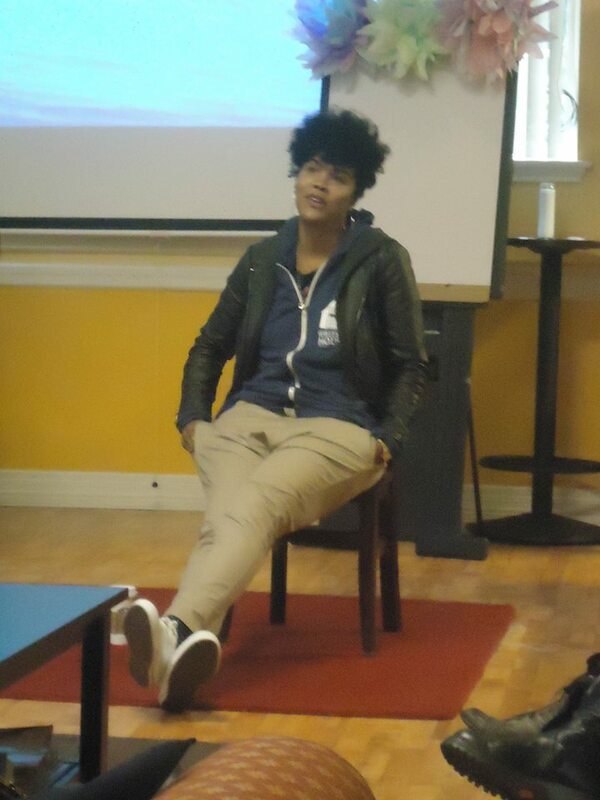 Dominique Christina one of the co-founders of Sister Outsider. 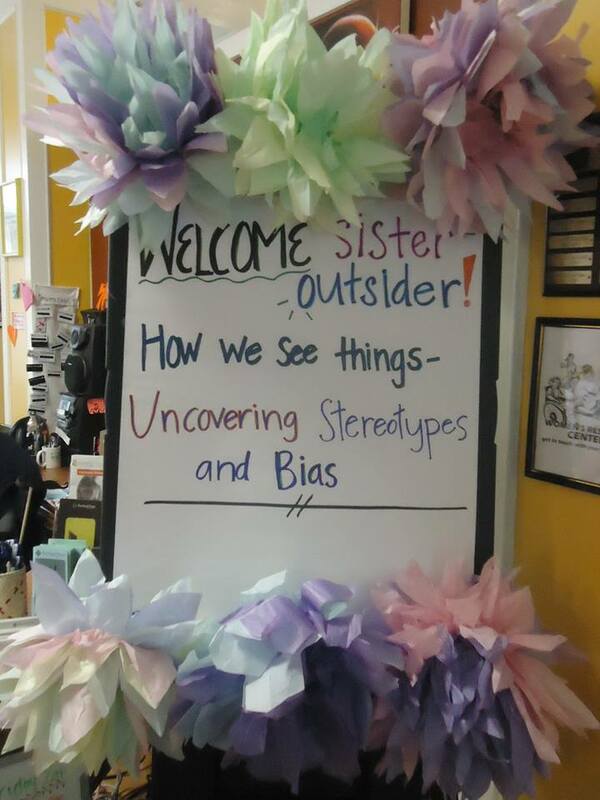 Sister Outsider schooled the audience on issues of stereotypes/racism/oppression. 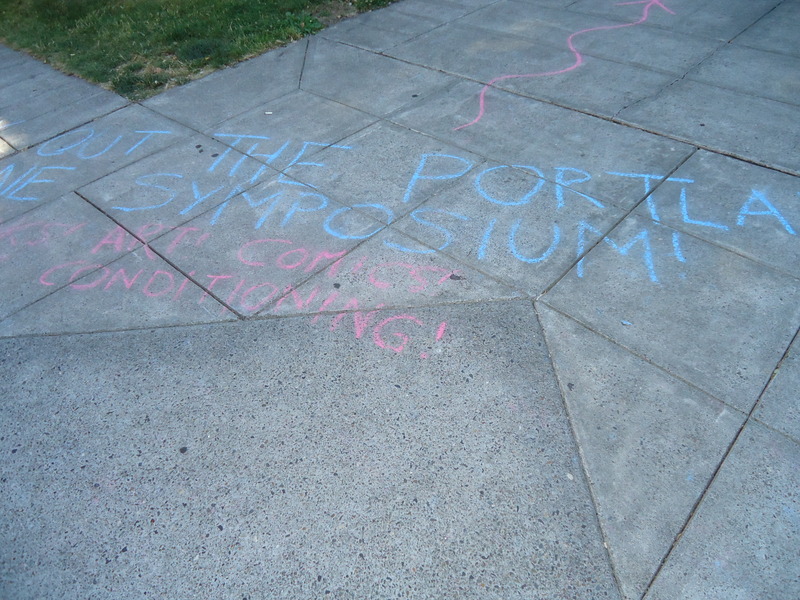 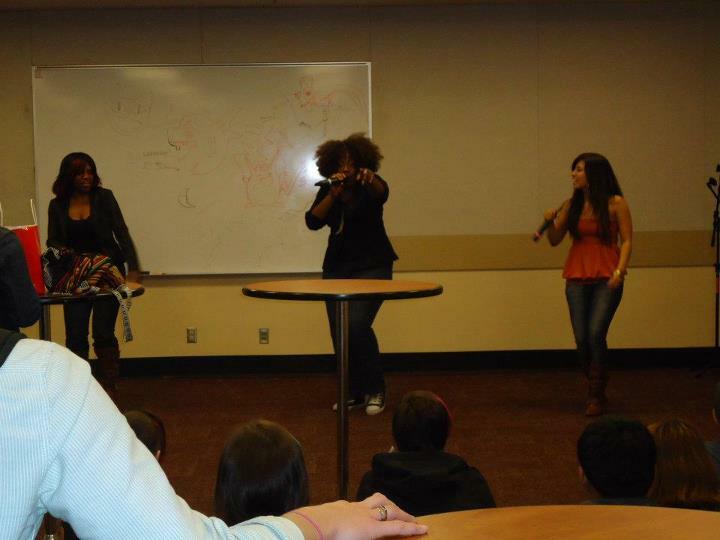 The WOC Zine Workshops attended award-winning performance poets Sister Outsider’s event at PSU. 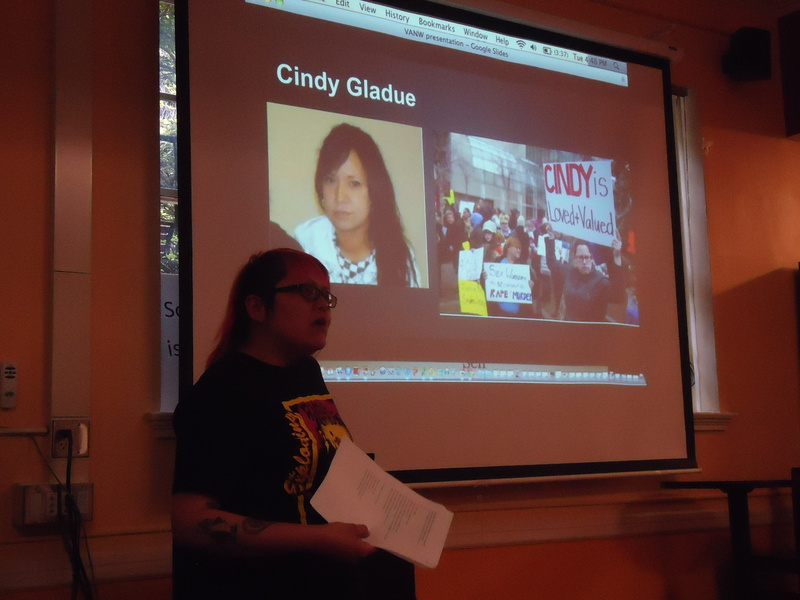 Learn more about the case of Cindy Gladue. 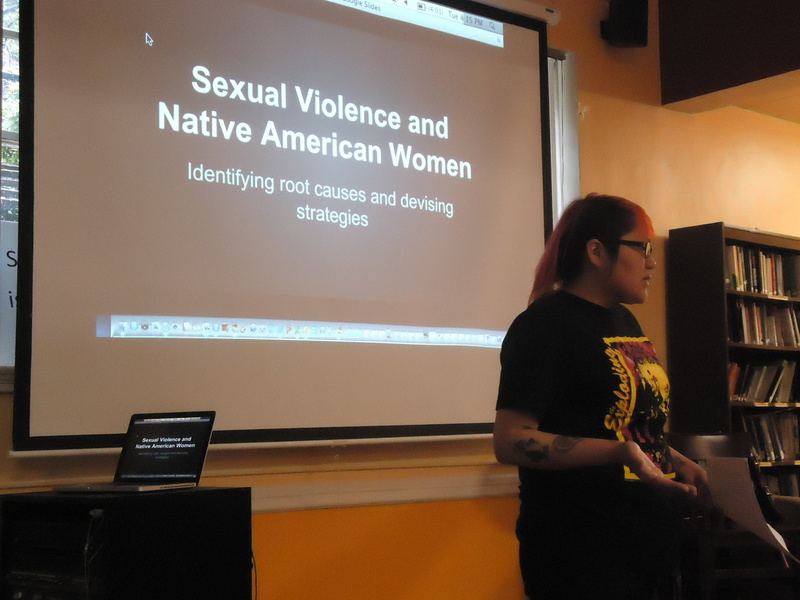 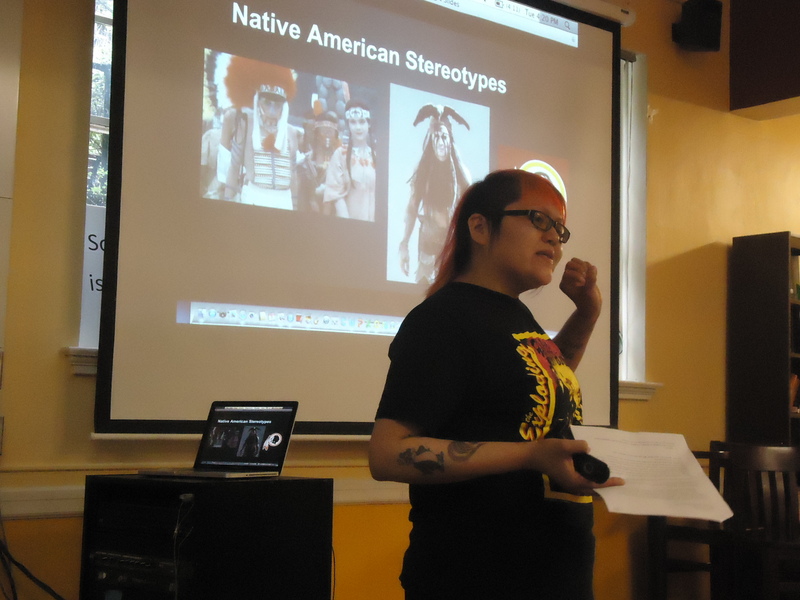 Going Places presented on Sexual Violence and Native American Women. 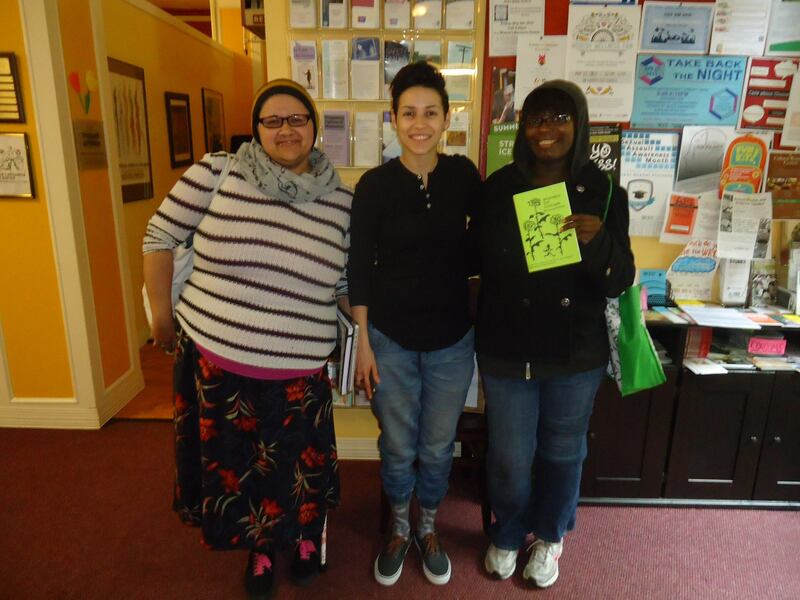 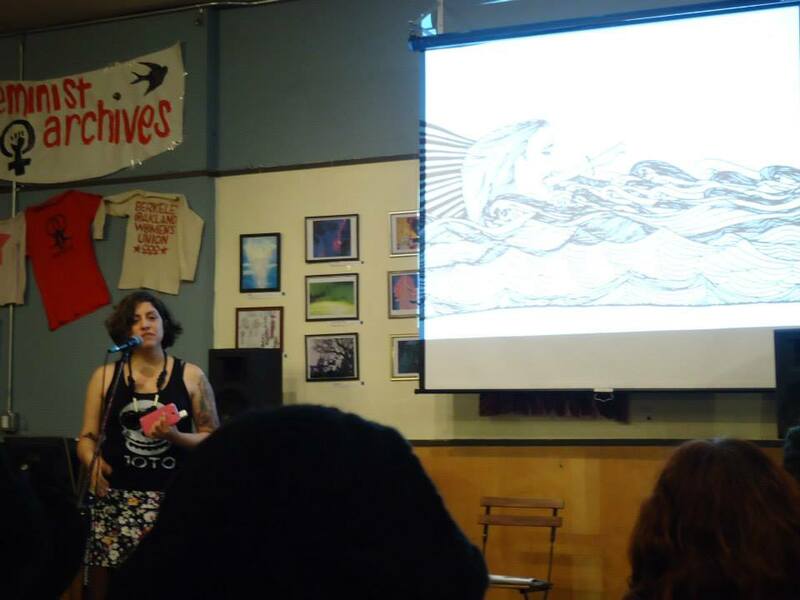 The WOC Zine Workshops enjoyed fellow zinester Going Places talk at PSU-Women’s Resource Center for Sexual Assault Awareness Month 2015. 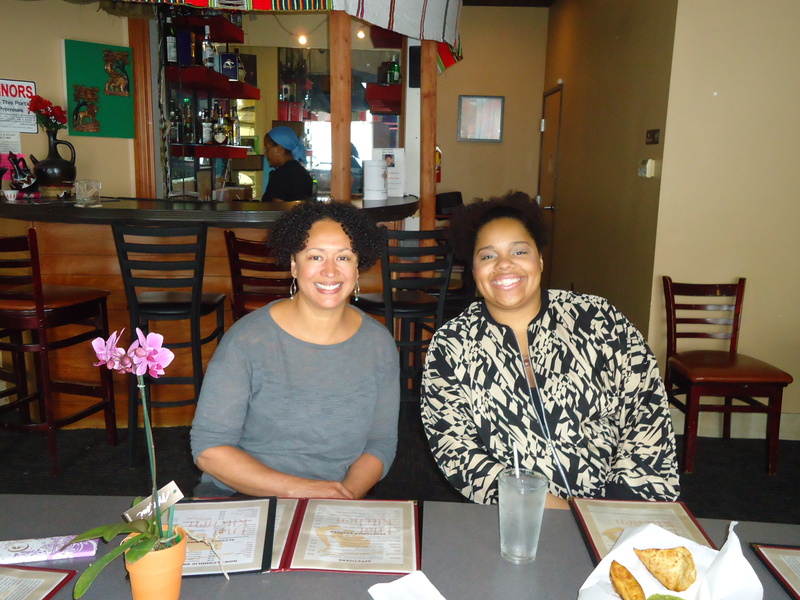 Tonya and lovely community activist Noni Causey. 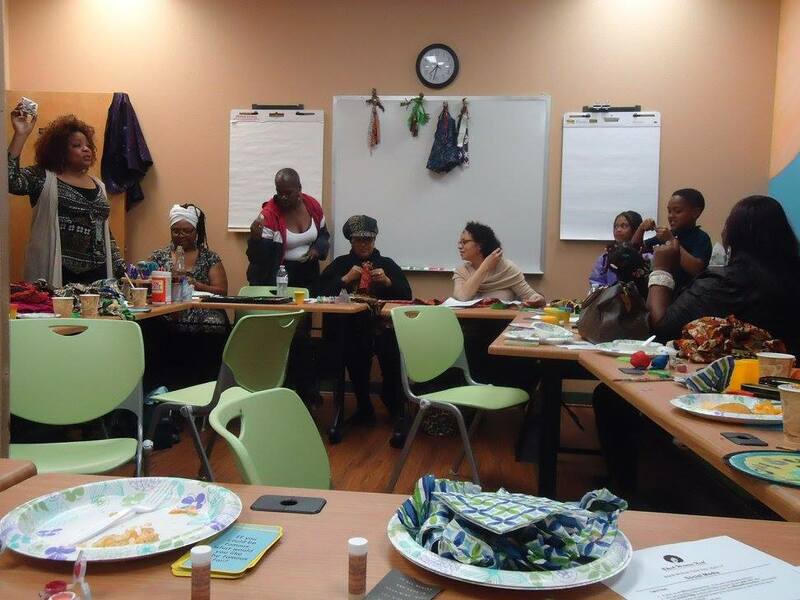 PDX Black women building community!! 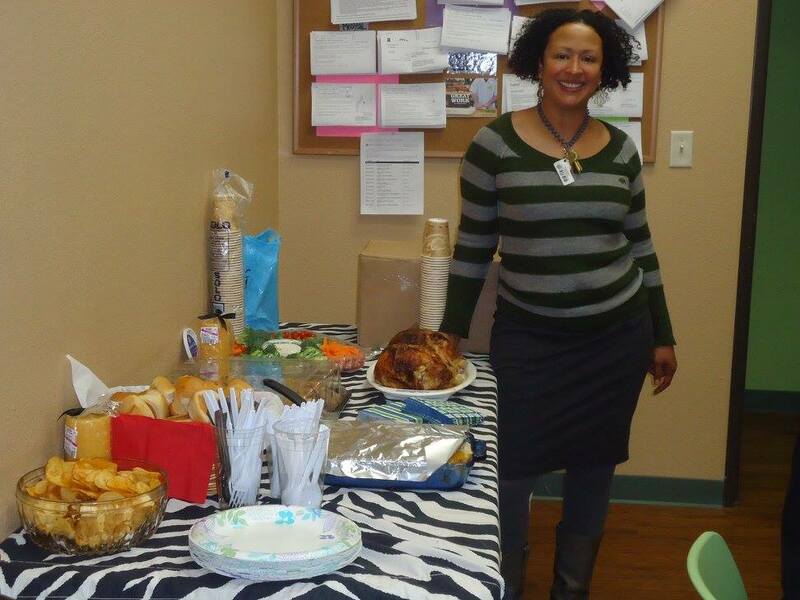 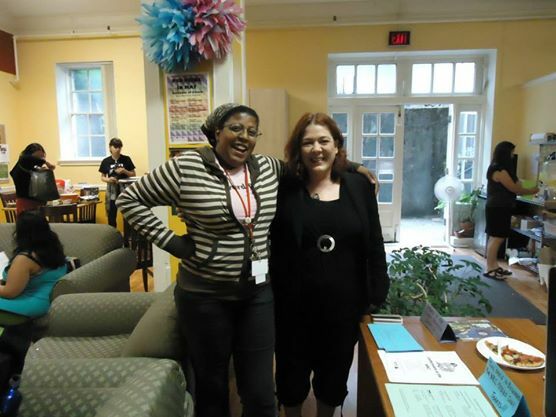 Robin Davis co-organizer of the event and advocate at Bradley Angle for Black women in domestic violence relationships. 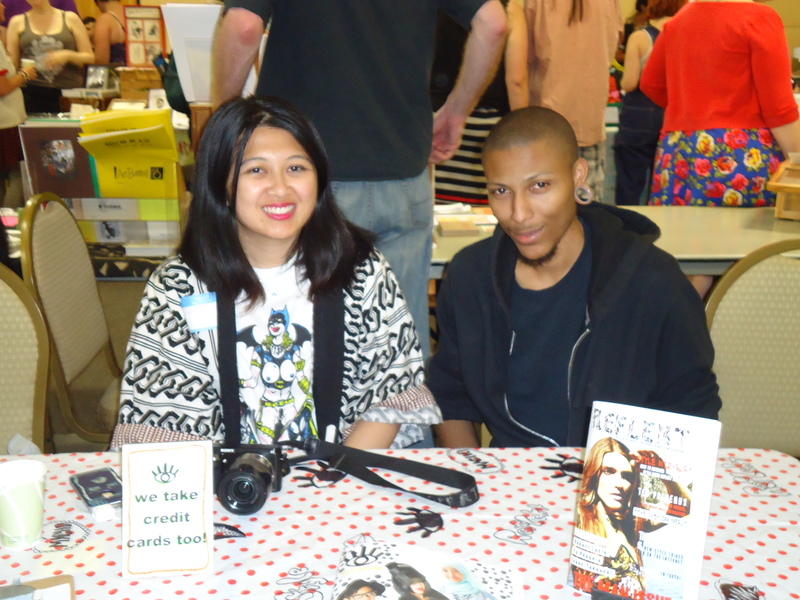 Women of Color Zines. 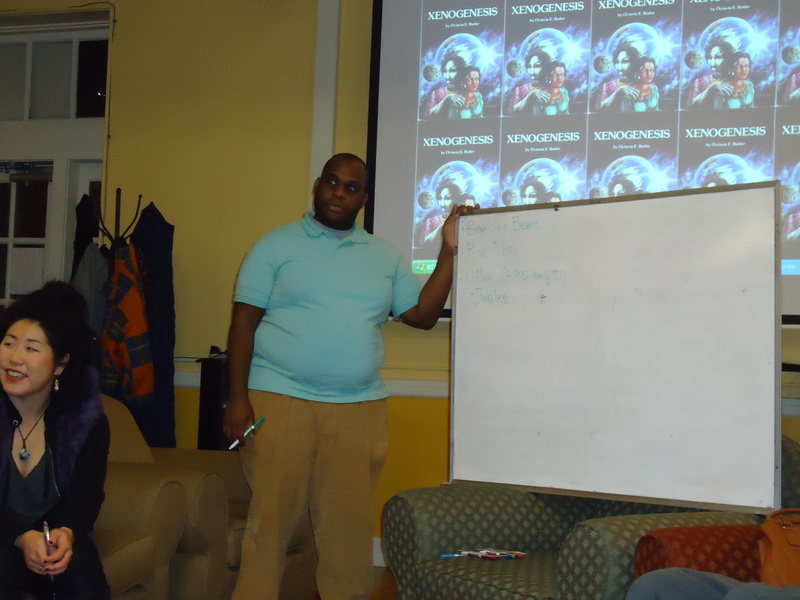 If you don’t know, you better ask somebody! 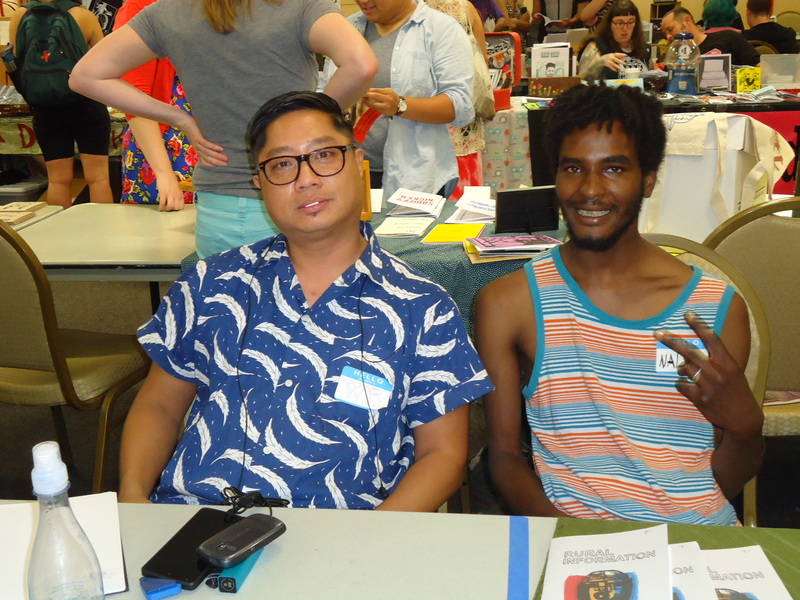 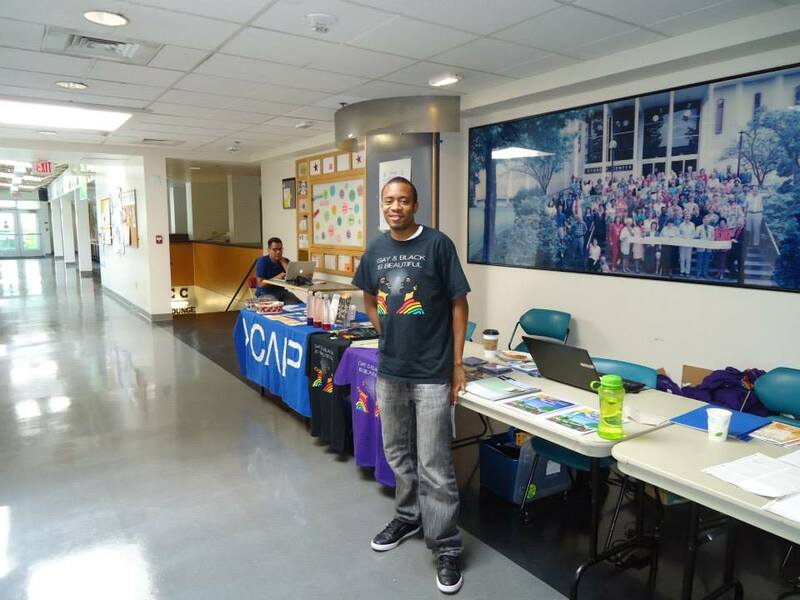 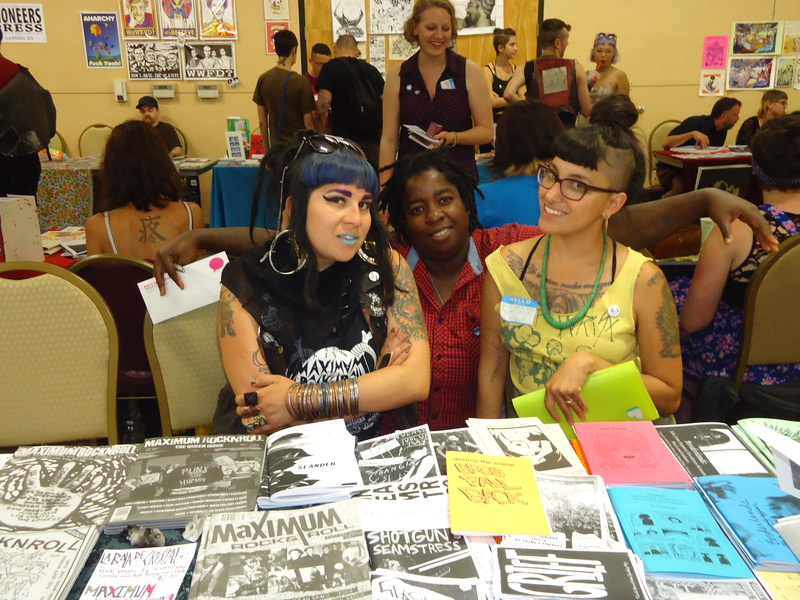 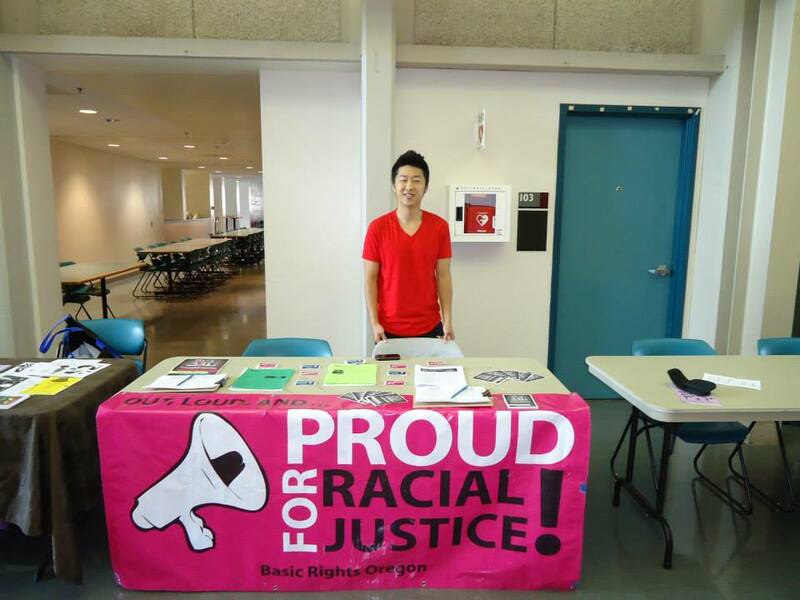 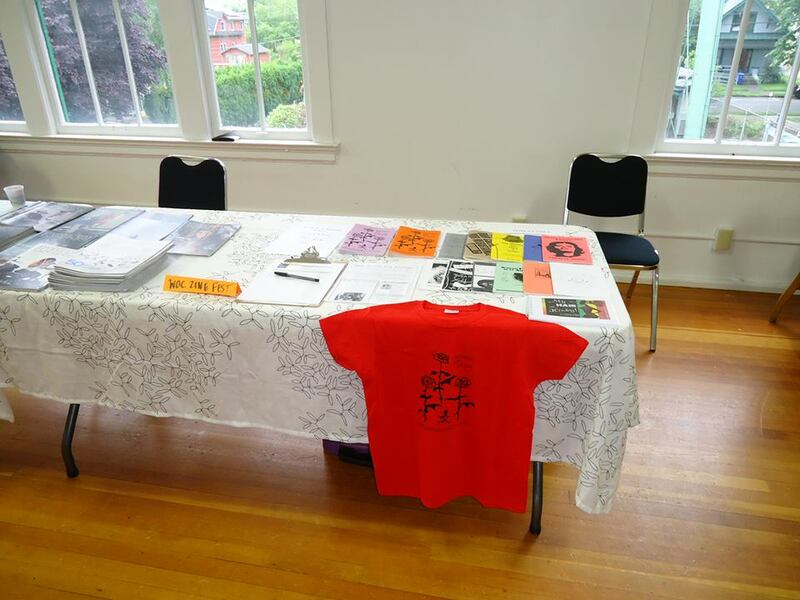 The Women of Color Zine Workshops had a fun time tabling at Zine Pavilion 2015. 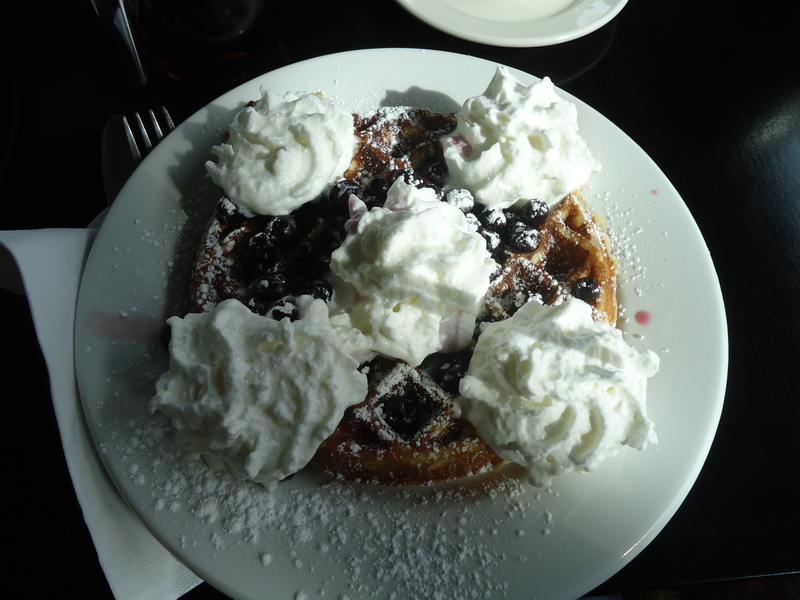 The PDX Black Feminism group chatted over Belgian waffles. 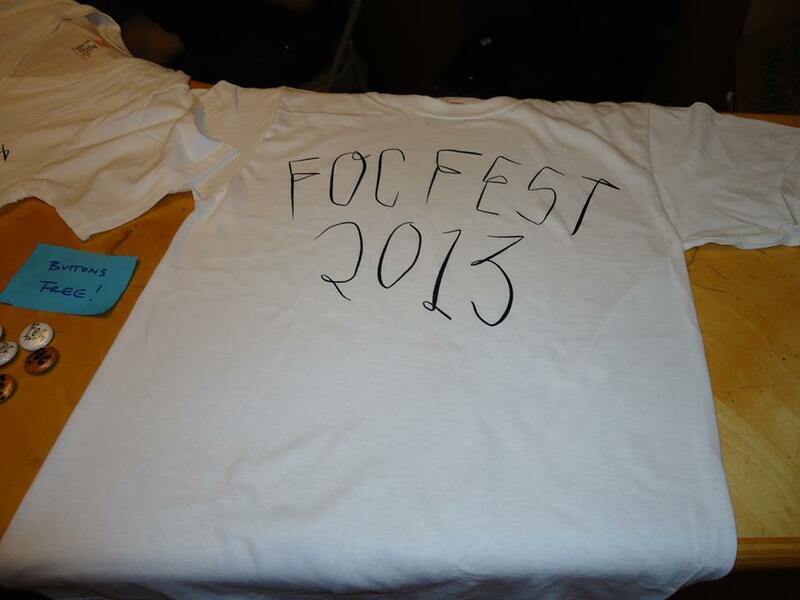 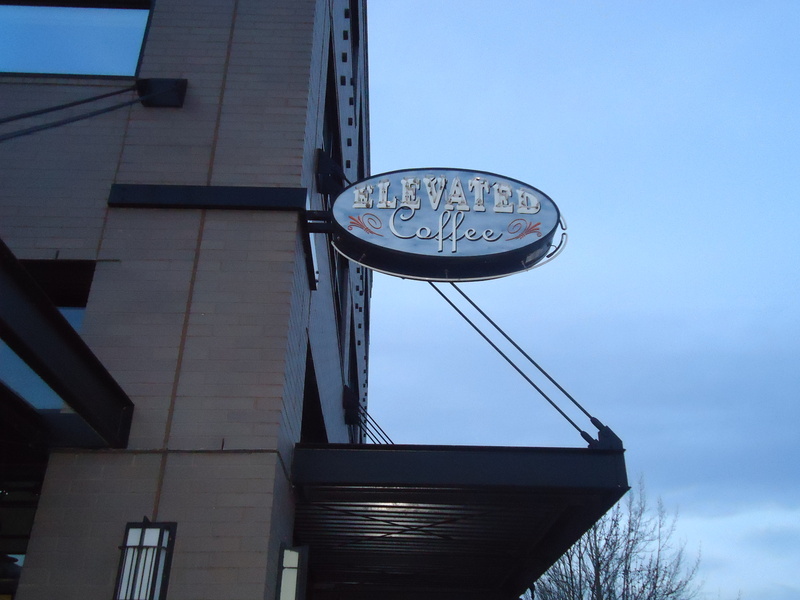 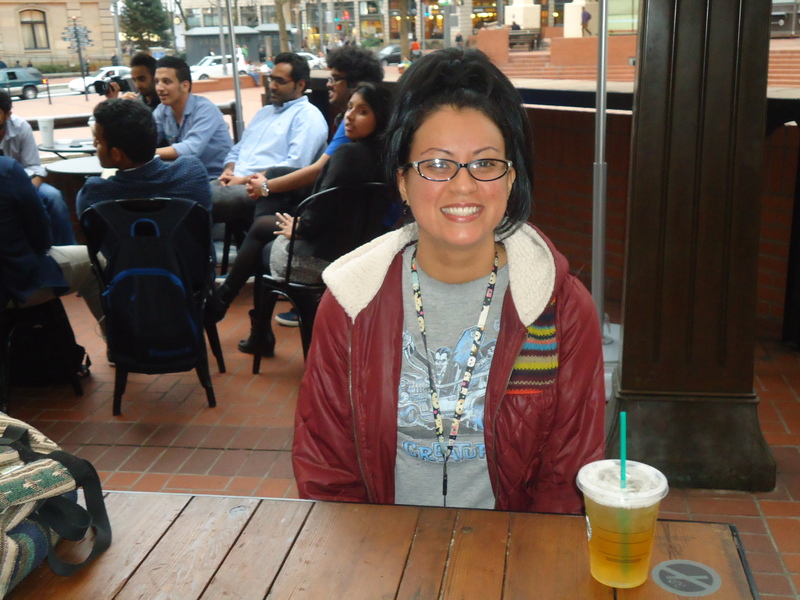 Keep an eye out for the next meetup! 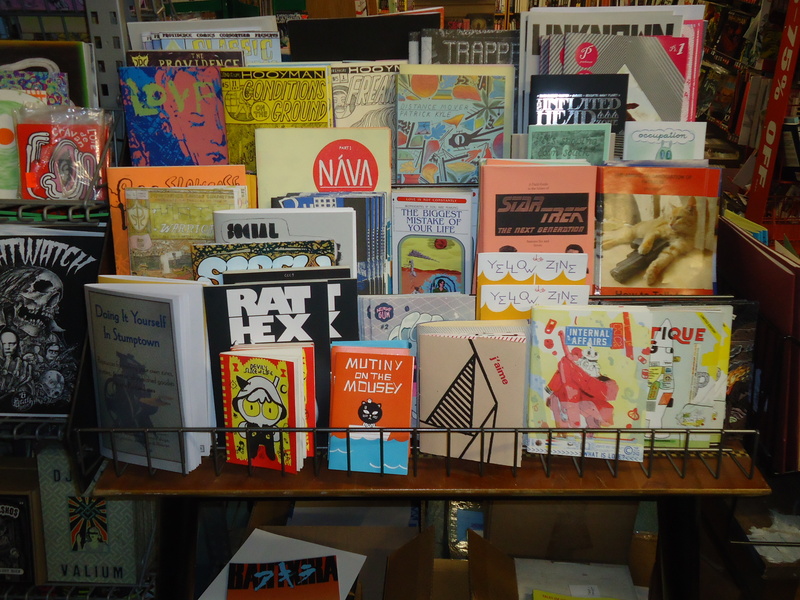 Loving the zines at Floating World Comics! 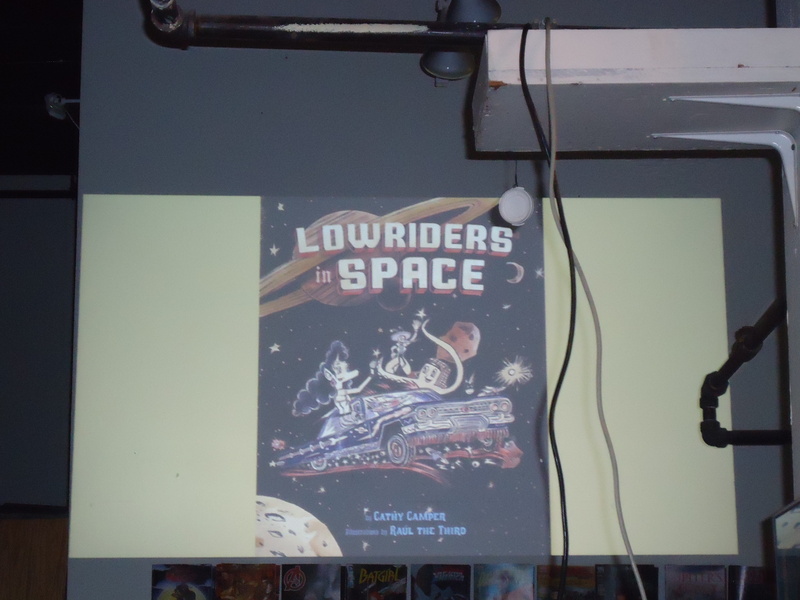 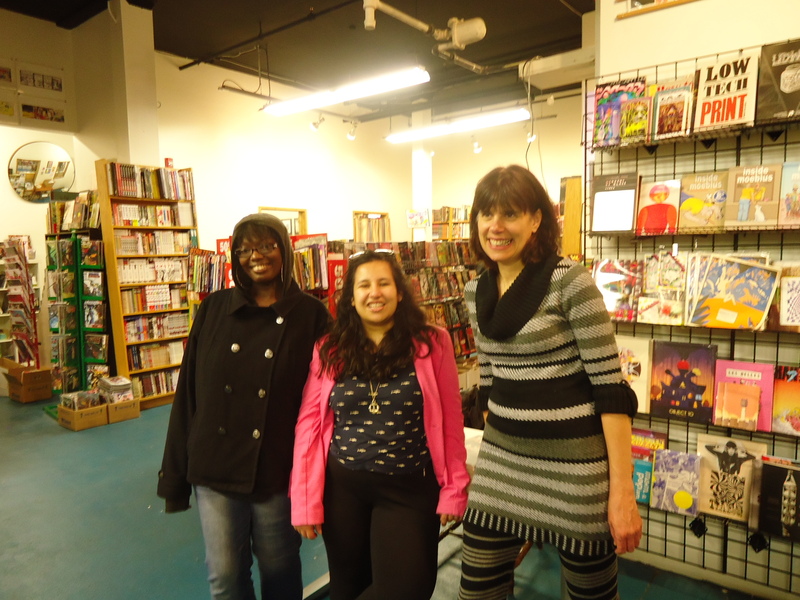 The Women of Color Zine Workshops attend Cathy Camper’s presentation at Floating World Comics. 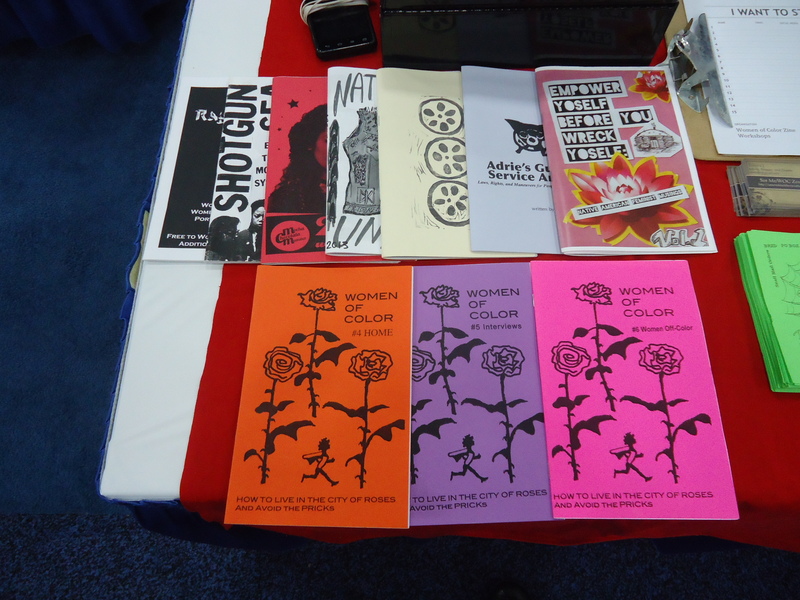 Women of Color Zine presentation at the Siren Nation Festival 2014. 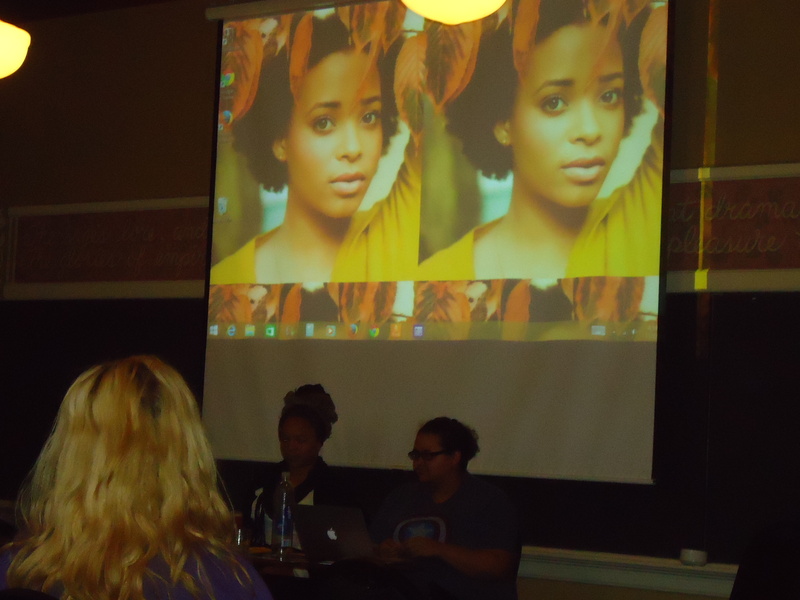 The Women of Color Zine Workshops Panel-Siren Nation Festival 2014. 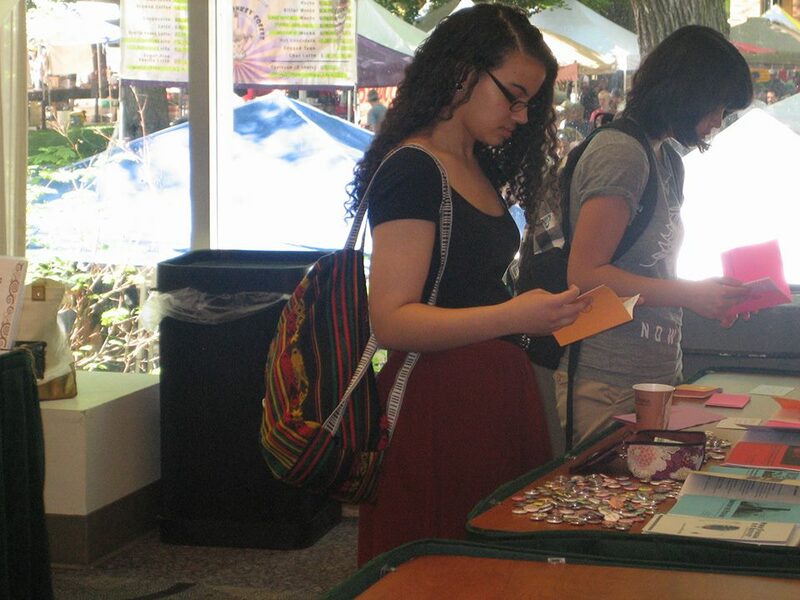 Attendee at Women of Color Zine Workshops-Siren Nation Festival 2014. 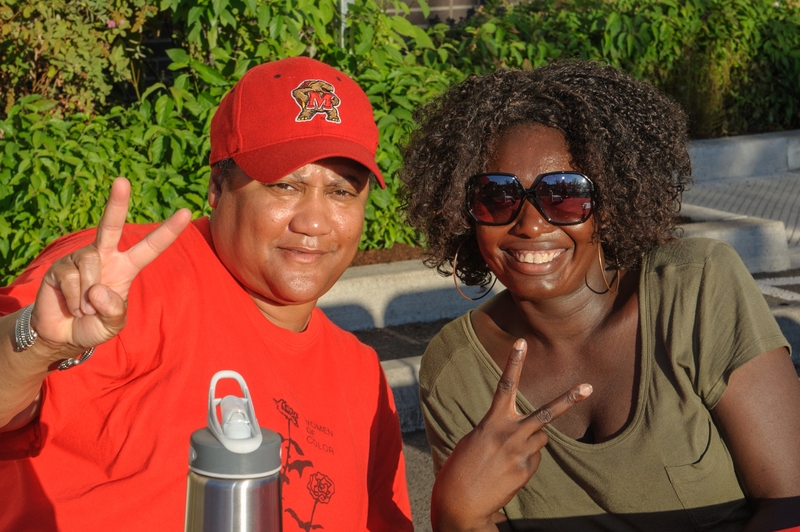 Attendees at the Women of Color Zine Workshops-Siren Nation Festival 2014. 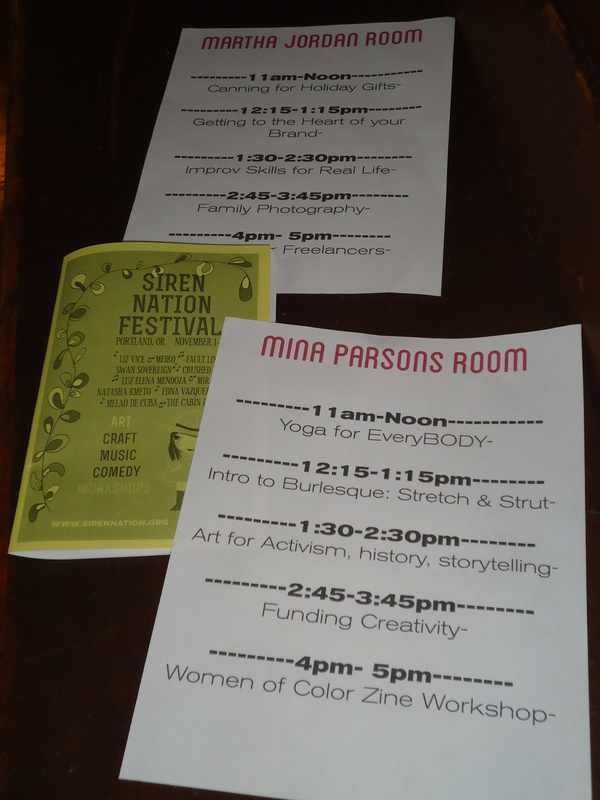 The Women of Color Zine Workshops at Siren Nation Festival 2014. 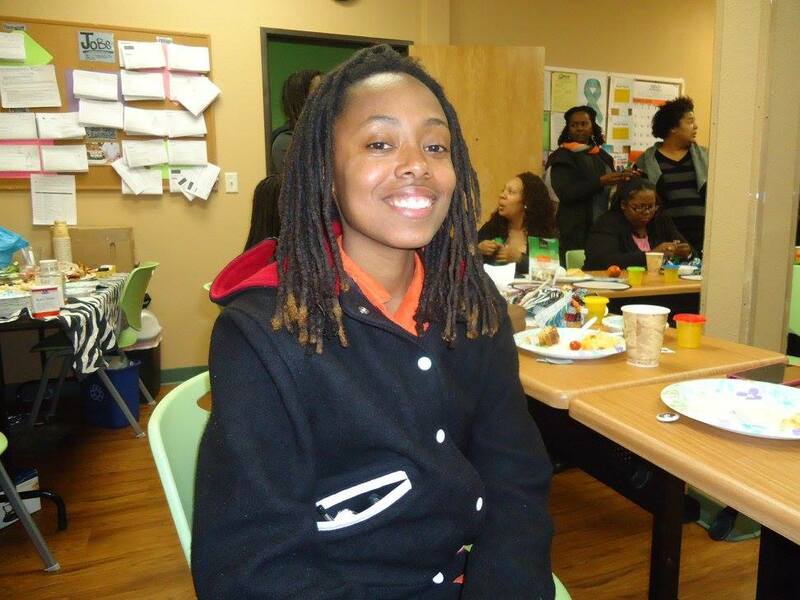 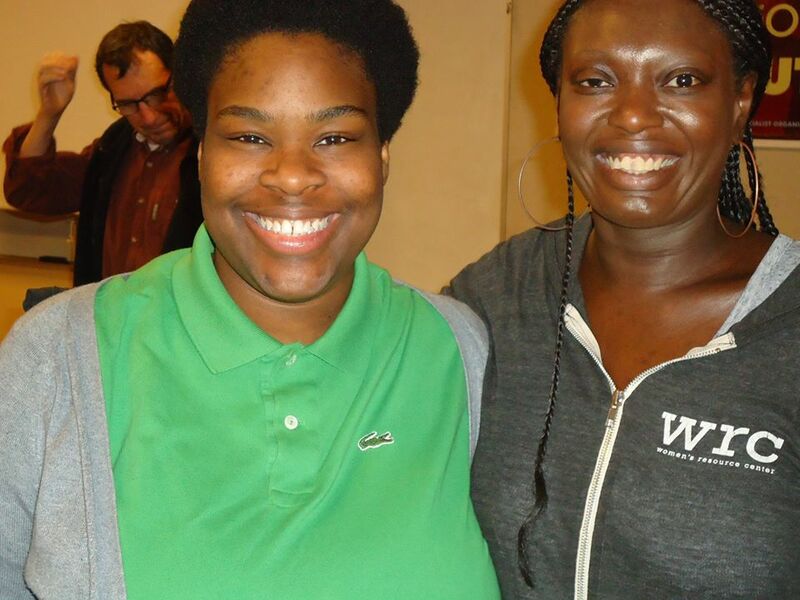 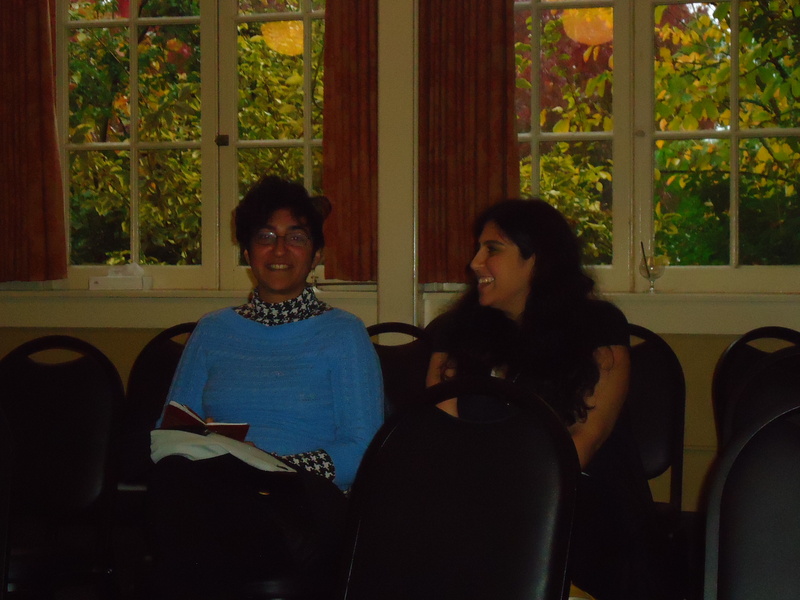 Attendee smiles at first PDX Black Feminism gathering. 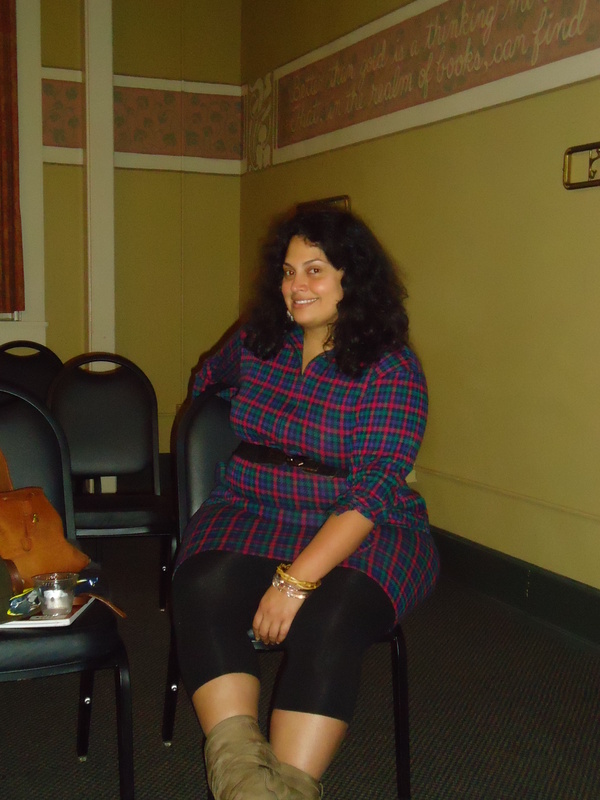 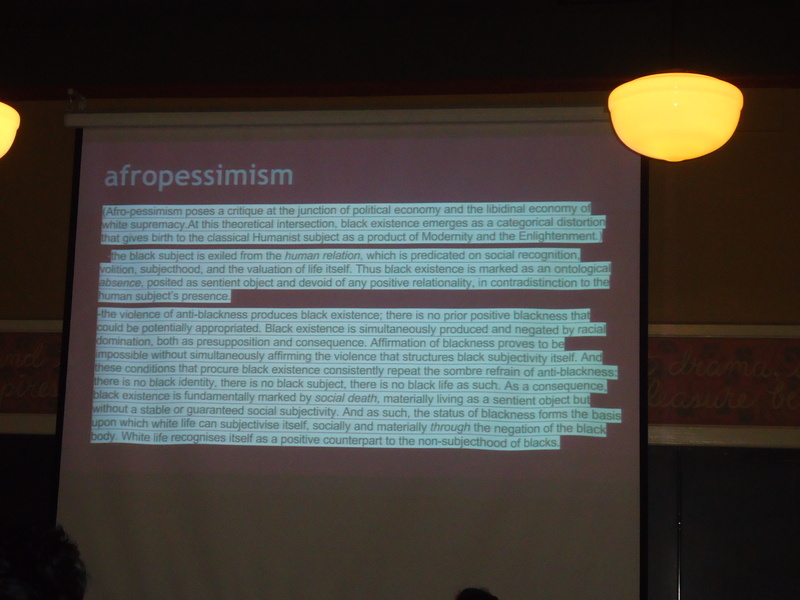 Attendee at PDX Black Feminism meetup. 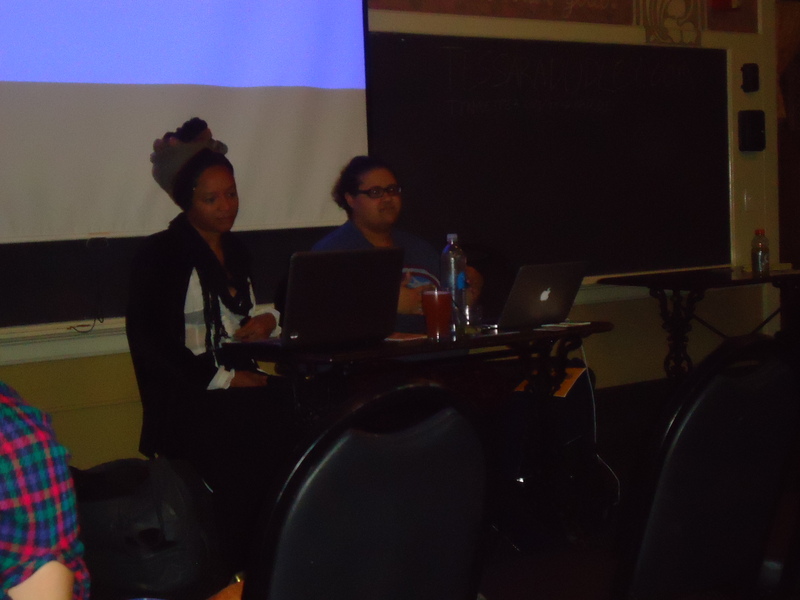 Attendees get ready for a great discussion at PDX Black Feminism meetup. 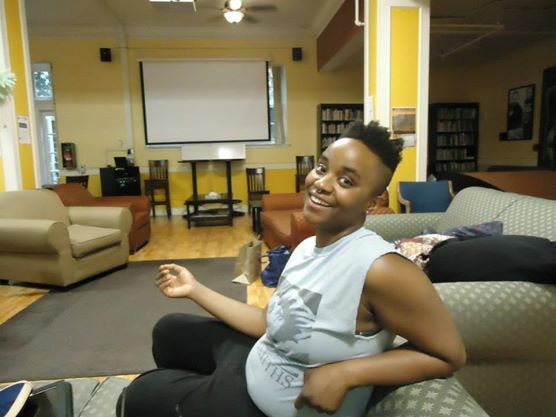 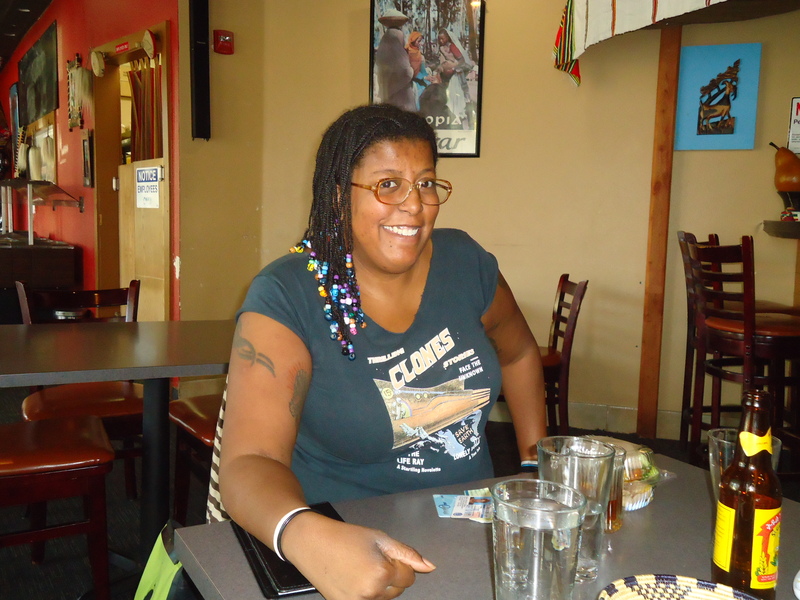 Tonya at PDX Black Feminism meetup. 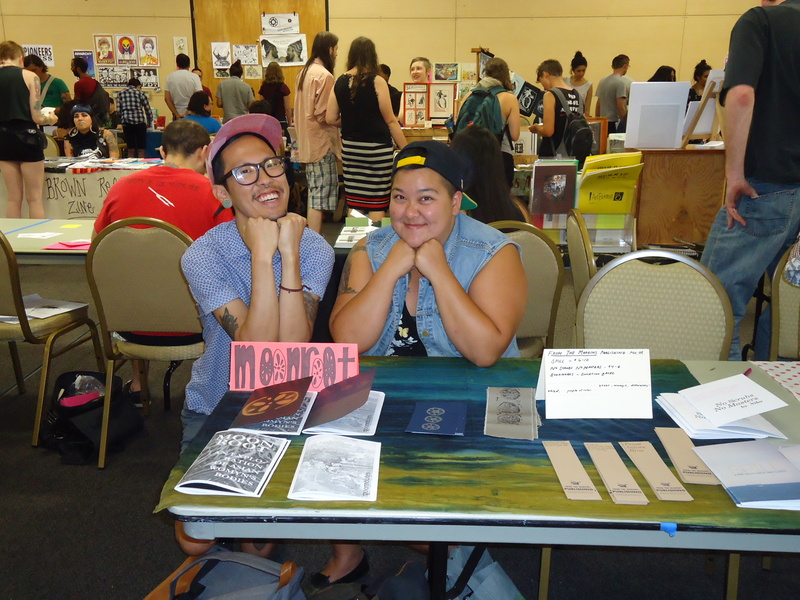 We heart the Moonroot zine! 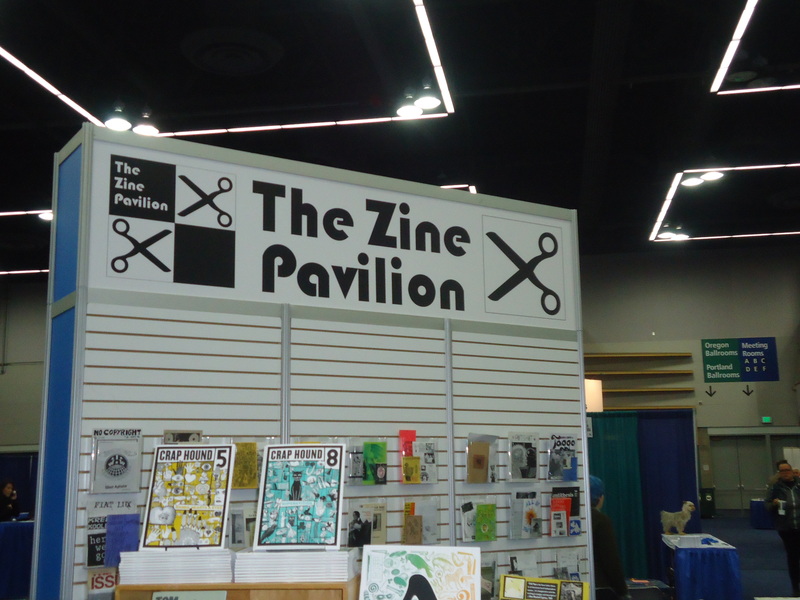 Cool zinesters at the PZS! 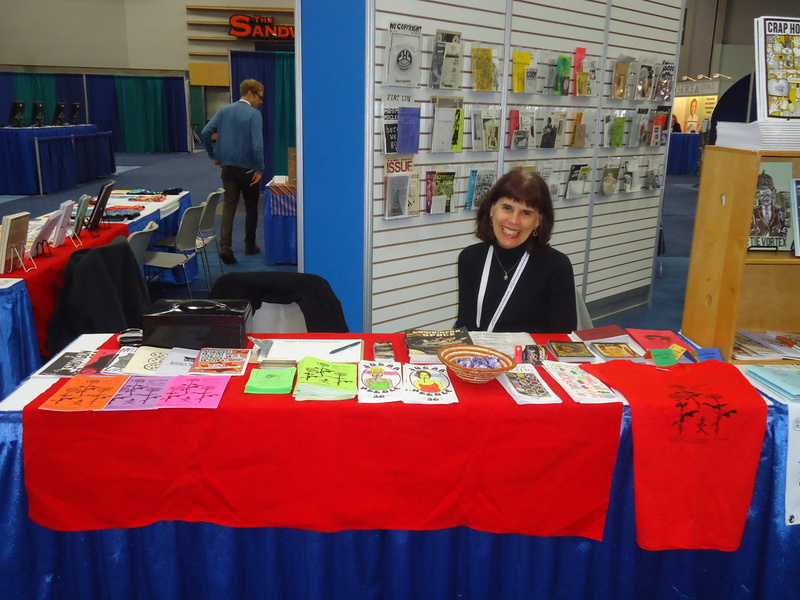 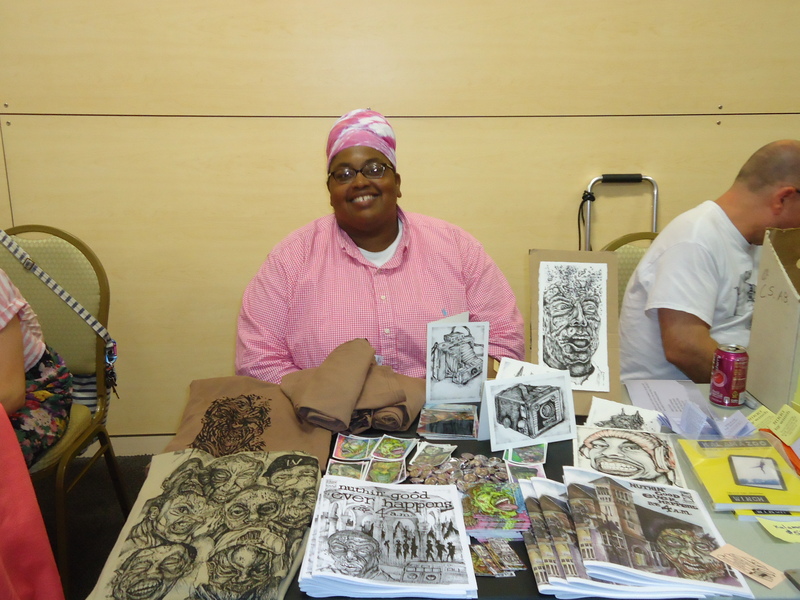 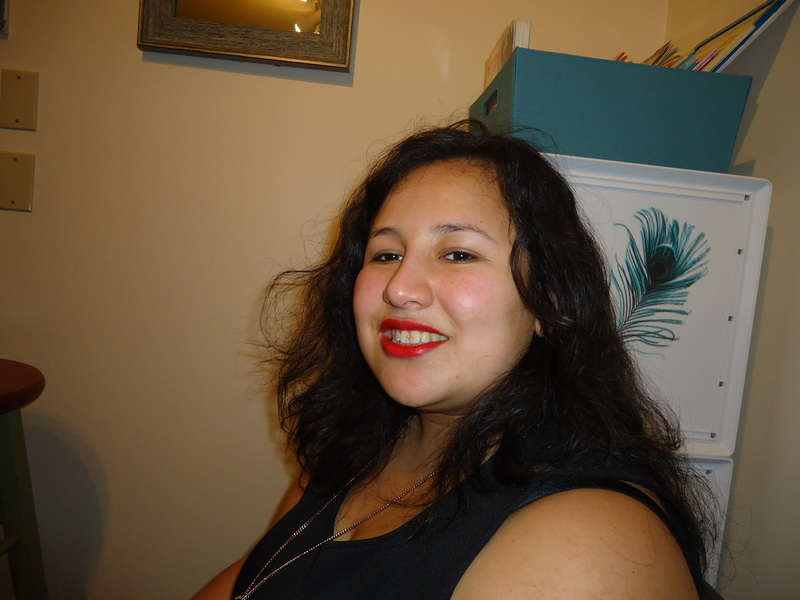 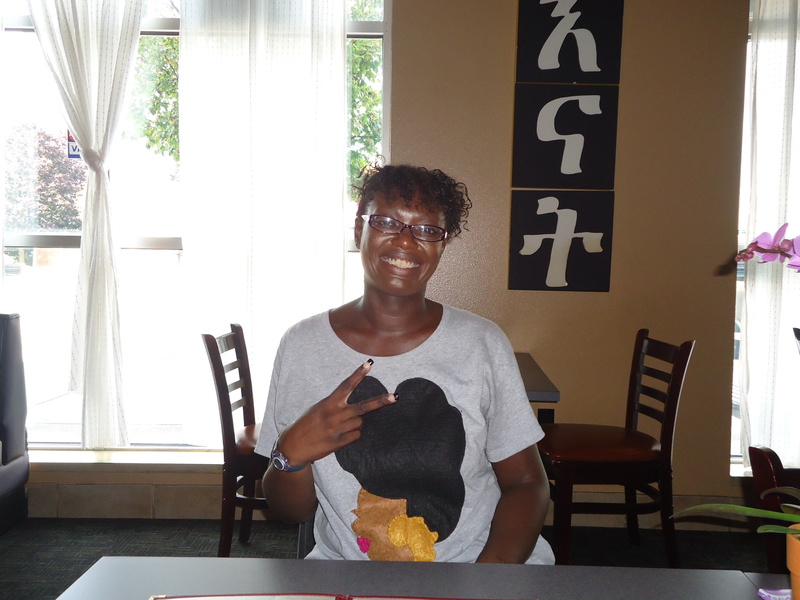 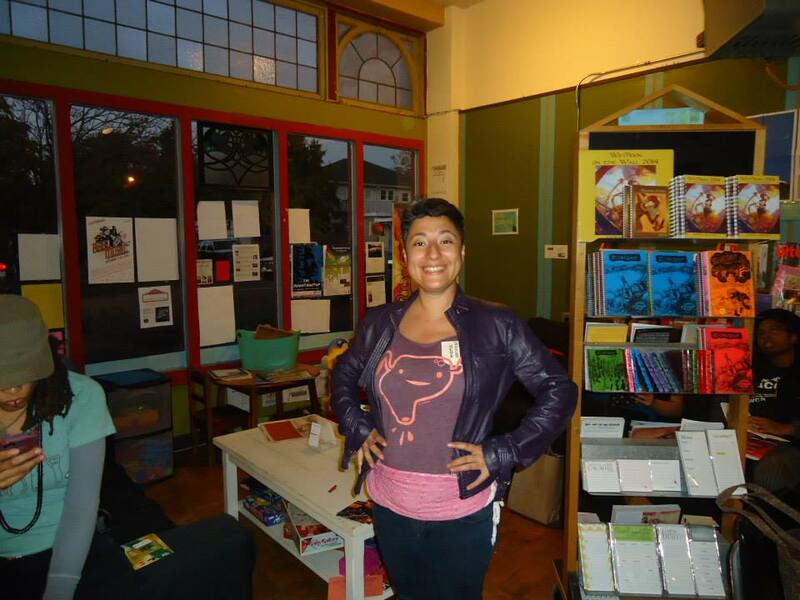 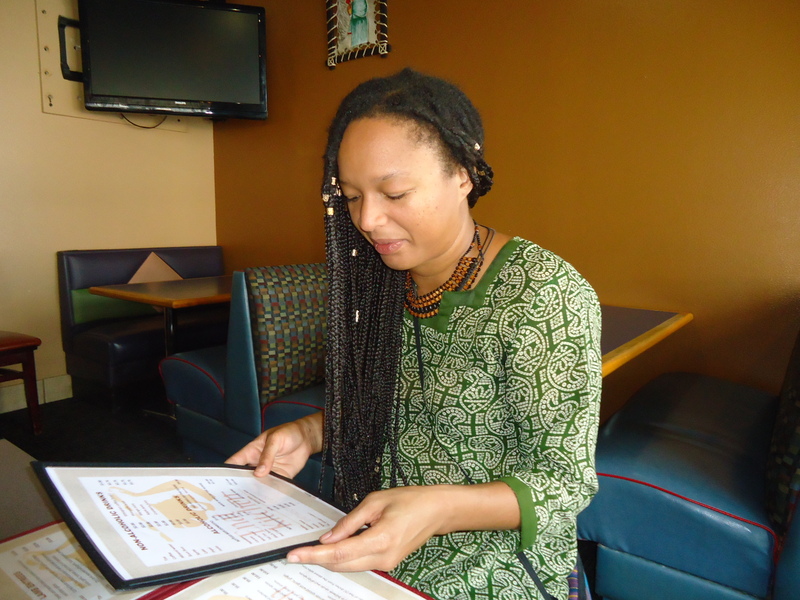 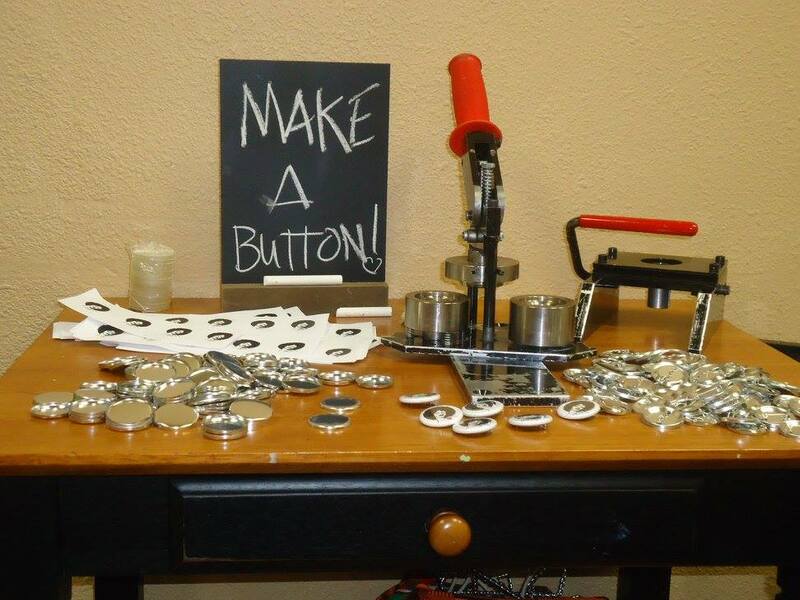 ABQ Zine Fest Organizer/World Traveler…Marya Erin Jones. 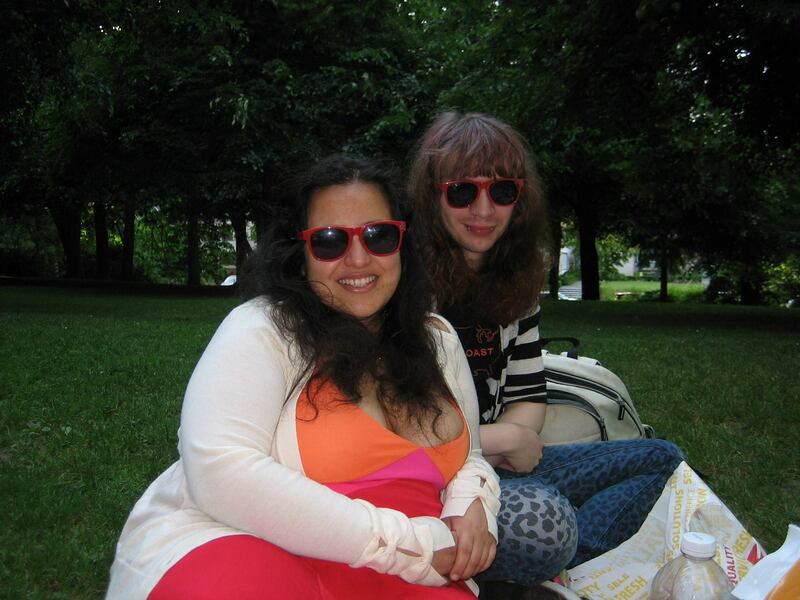 Fly babes at the PZS! 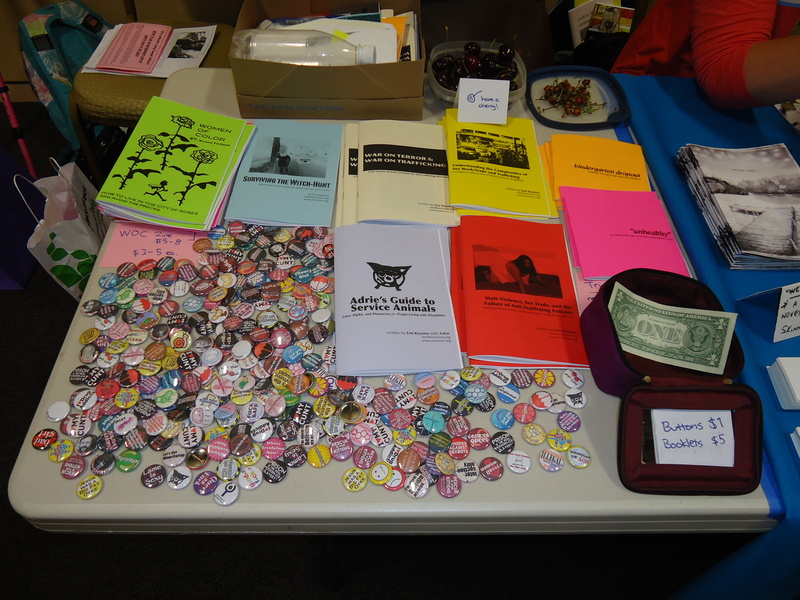 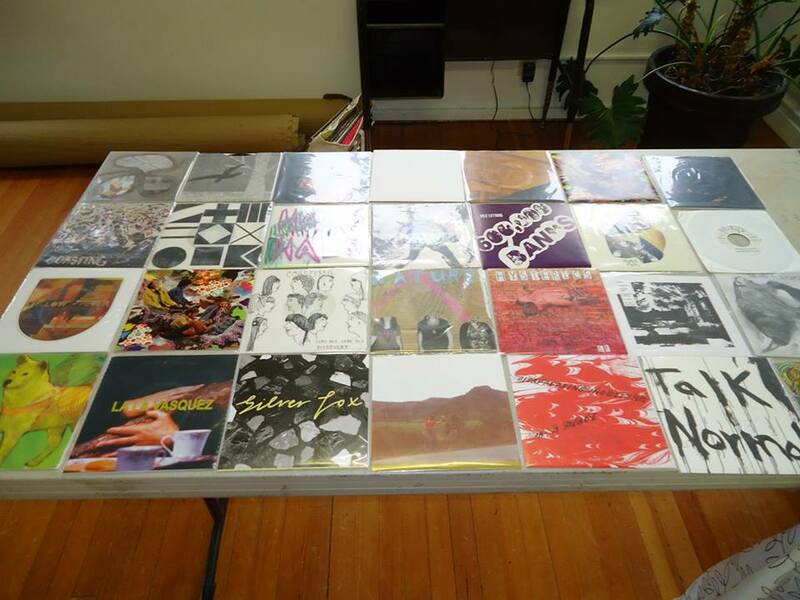 Zines, zines, and more zines! 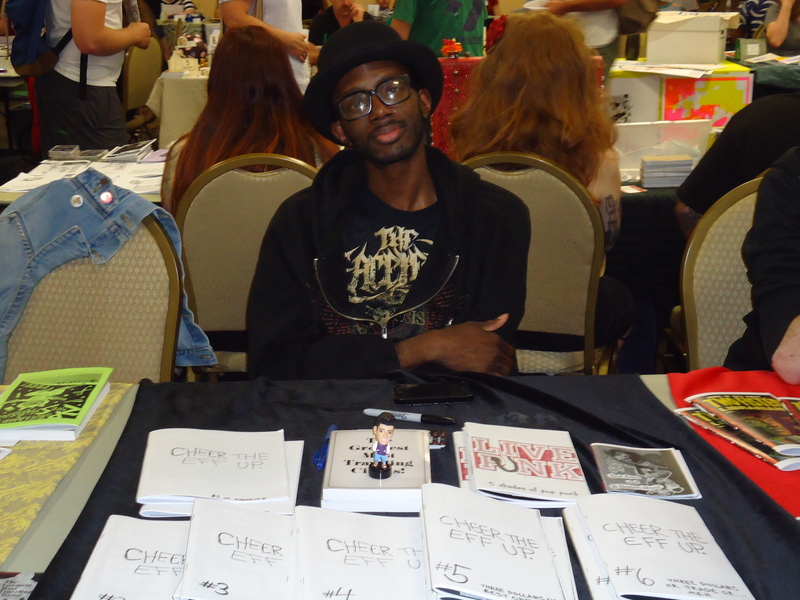 Jonas creator of “Cheer the Eff Up” zine. 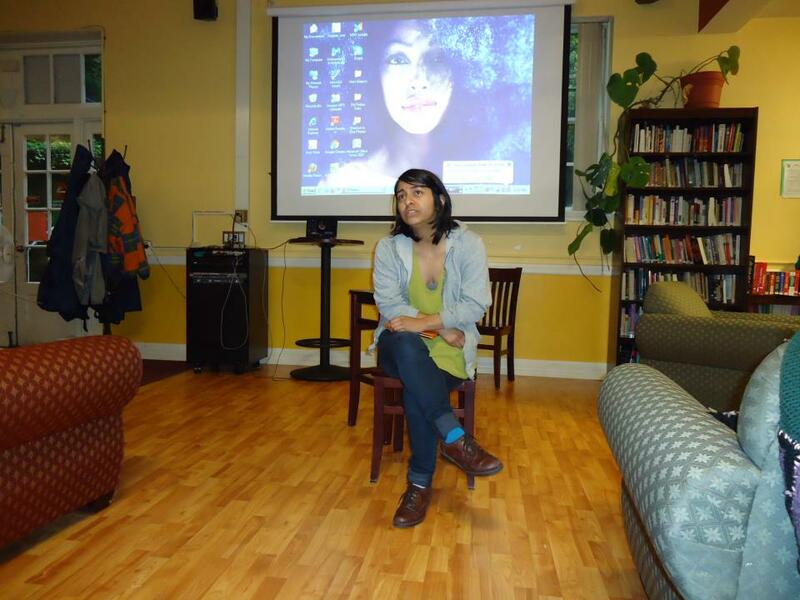 Artist Ebin Lee at the last women of color zine workshop….thank you for your support over the years! 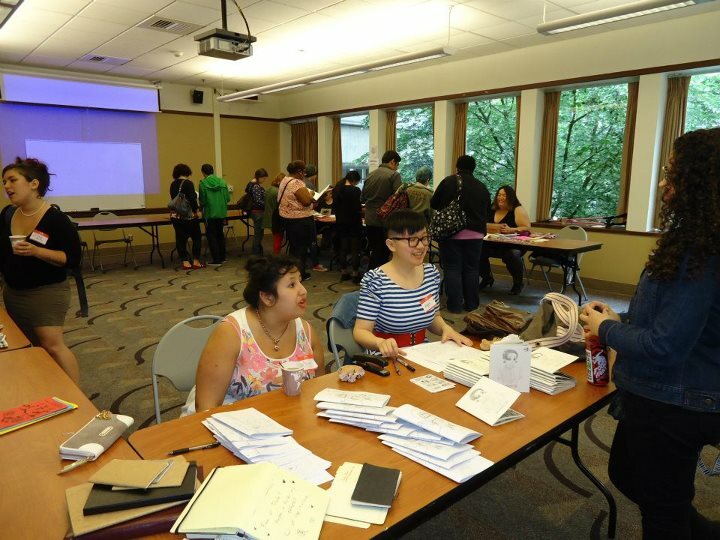 Attendees chat at the last women of color zine workshop. 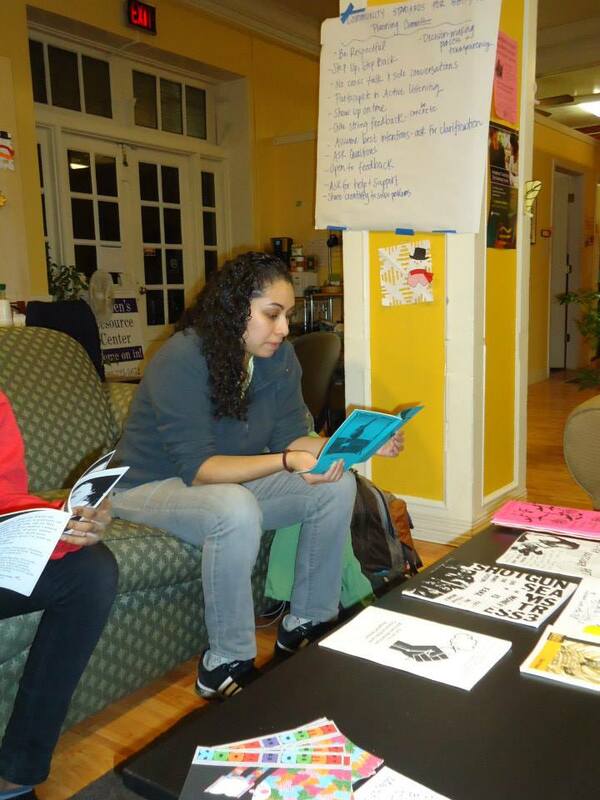 Attendees read the latest WOC Zine Collective at the potluck/networking party. 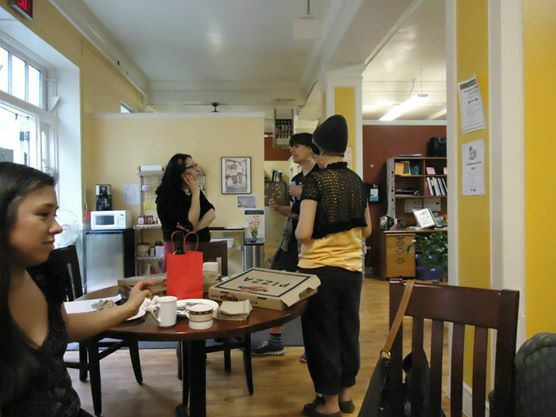 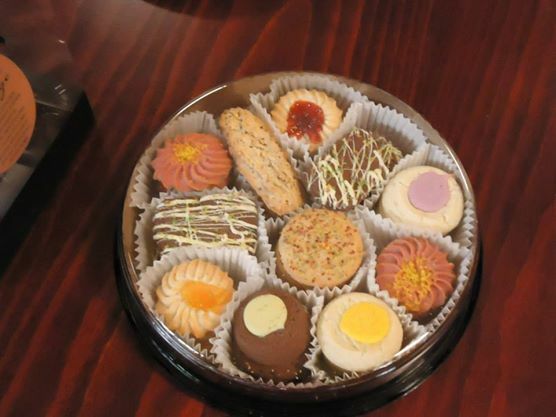 Delicious cookies at the WOC Zine potluck/networking party! 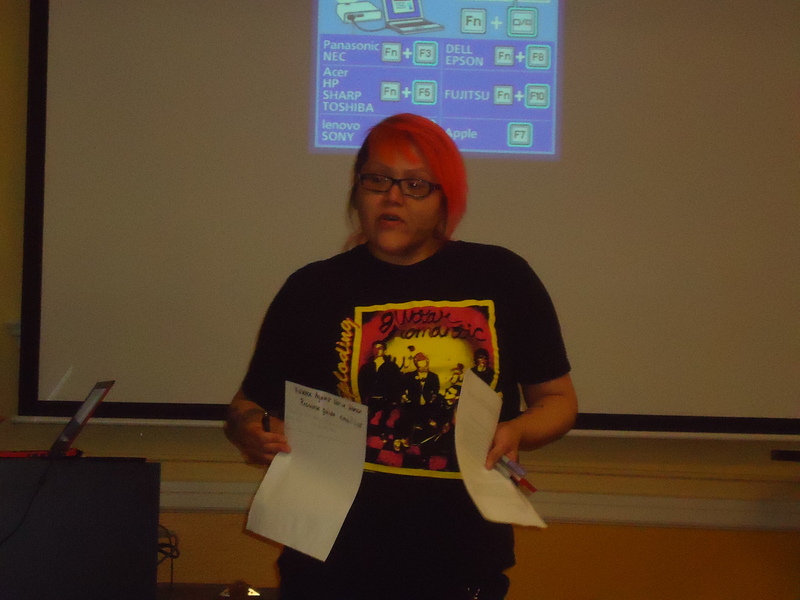 Artist/Writer/DIY extraordinaire Sally Lee attended the last women of color zine workshop. 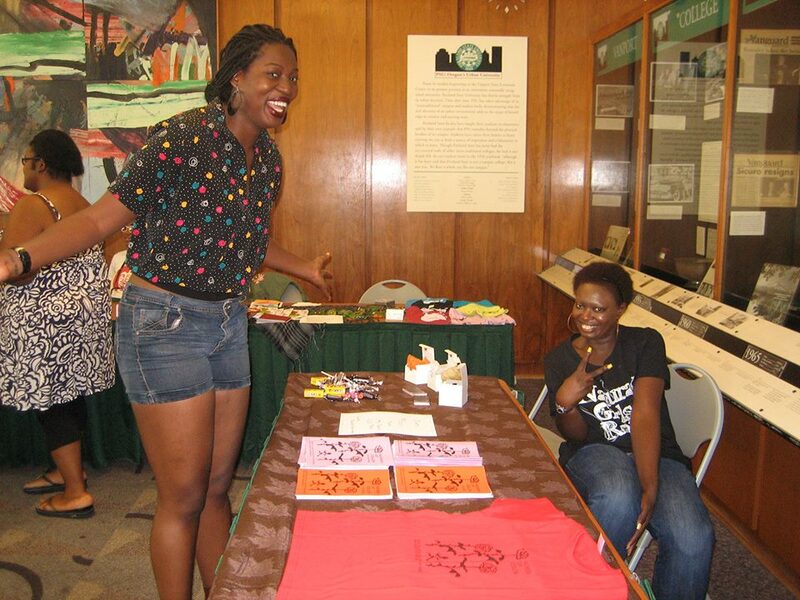 Attendees smile at the last women of color zine workshop. 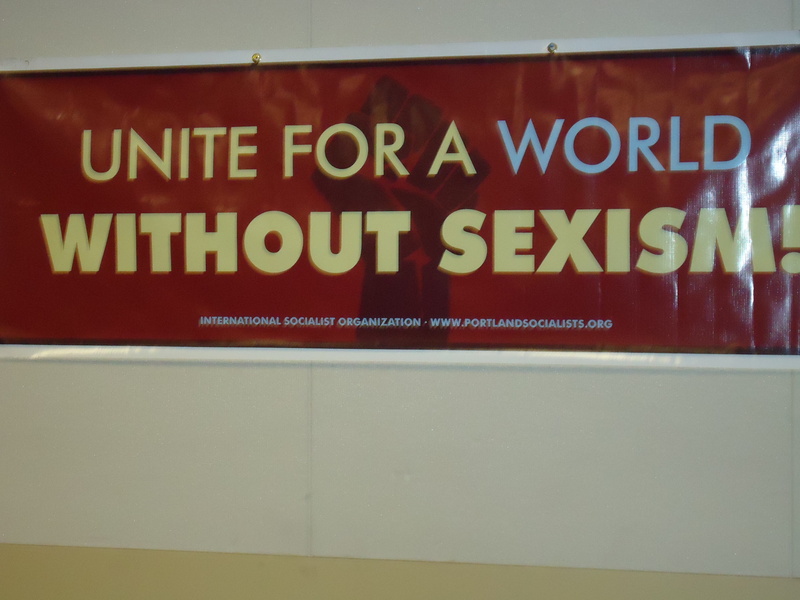 Poster at Gender Liberation Conference. 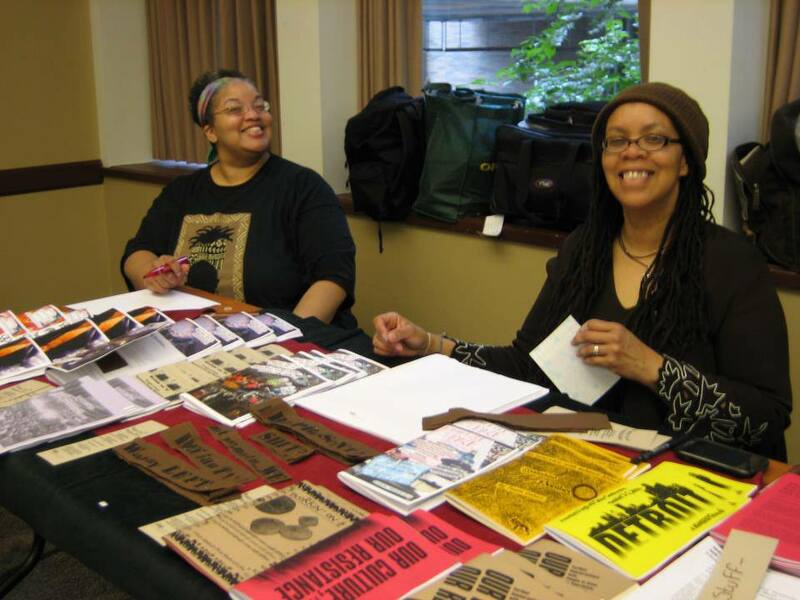 Black Feminist/Activist Nikeeta Slade and Tonya at the Gender Liberation Conference @ Portland State University 2014. 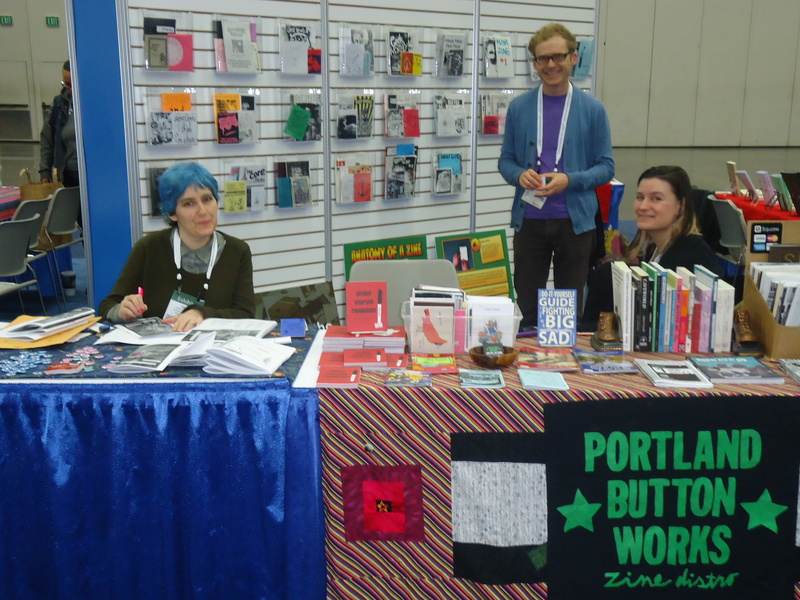 WOC Zine members smile at Po’shines. 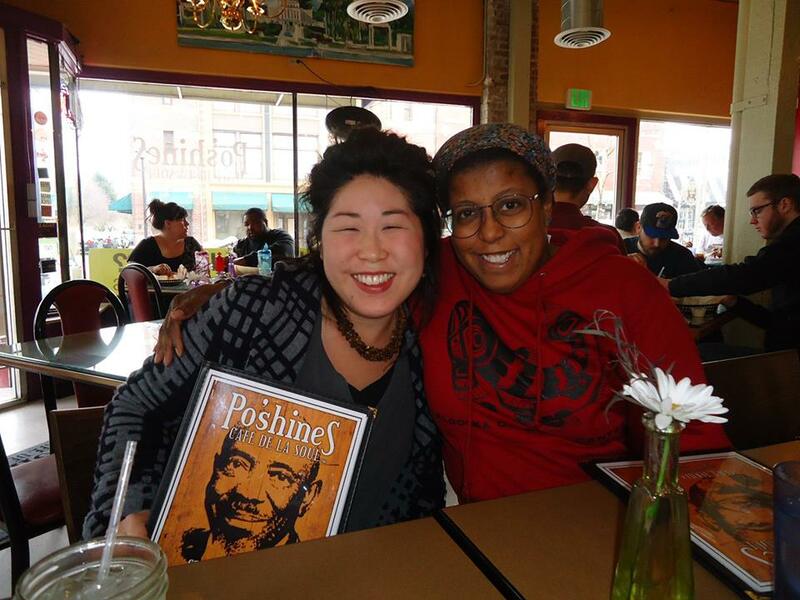 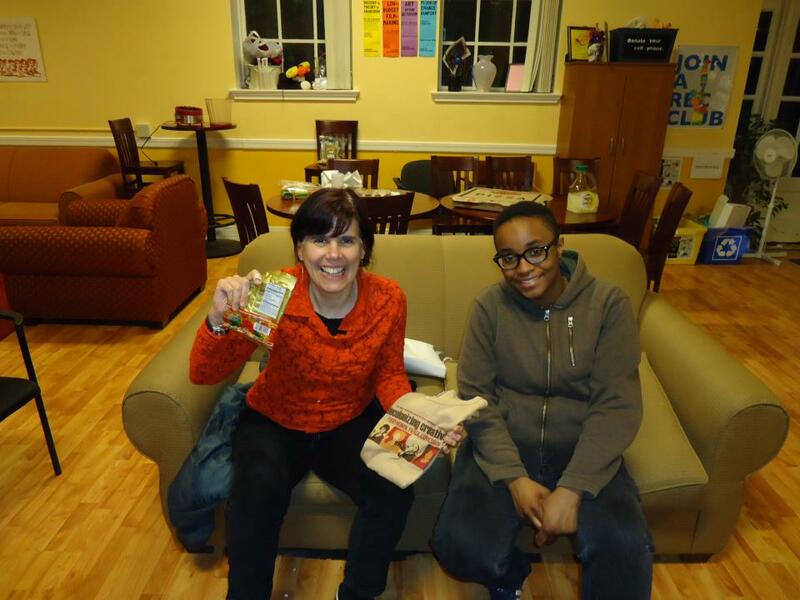 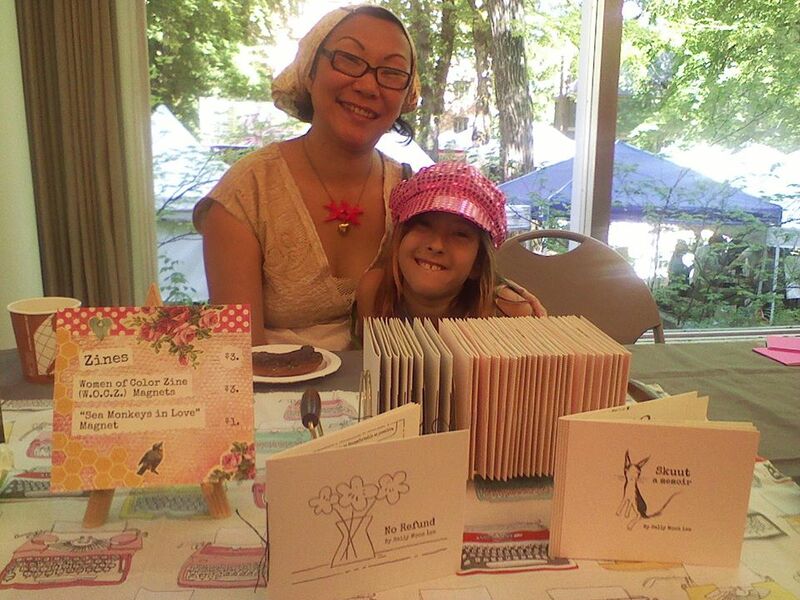 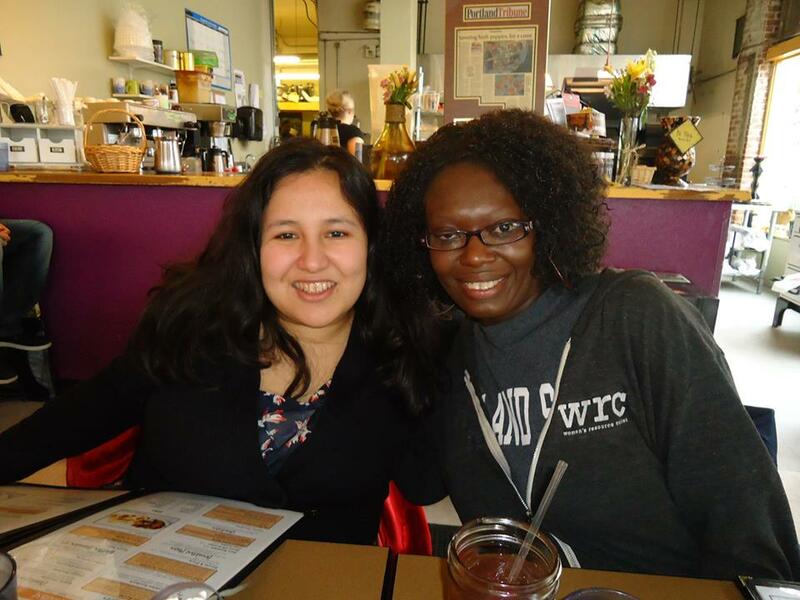 WOC Zine member and Tonya at Po’Shines 2014. 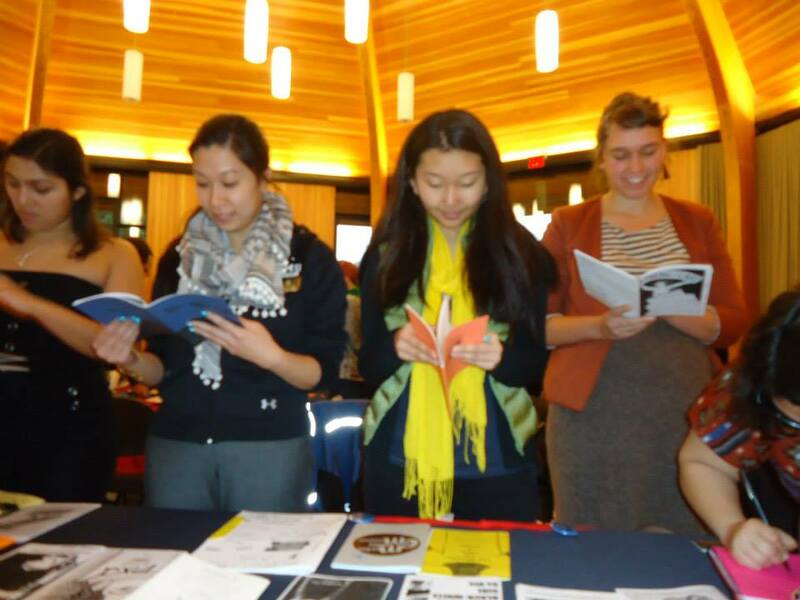 Attendees read zines at Lewis & Clark-Gender Symposium. 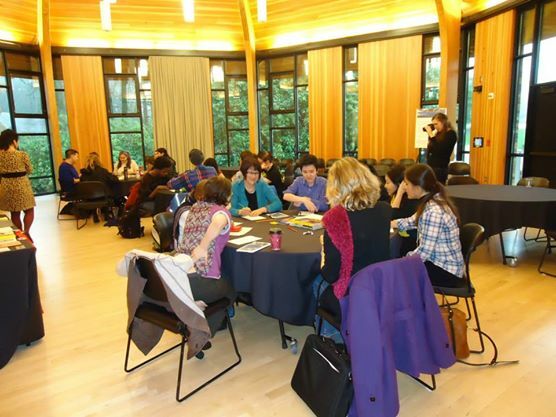 Folks attend the WOC Zine Workshop at Lewis & Clark-Gender Symposium. 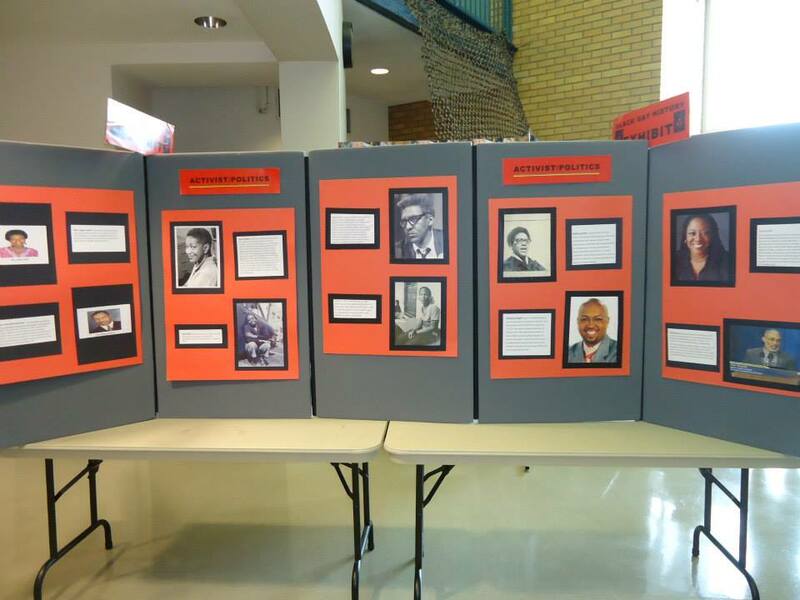 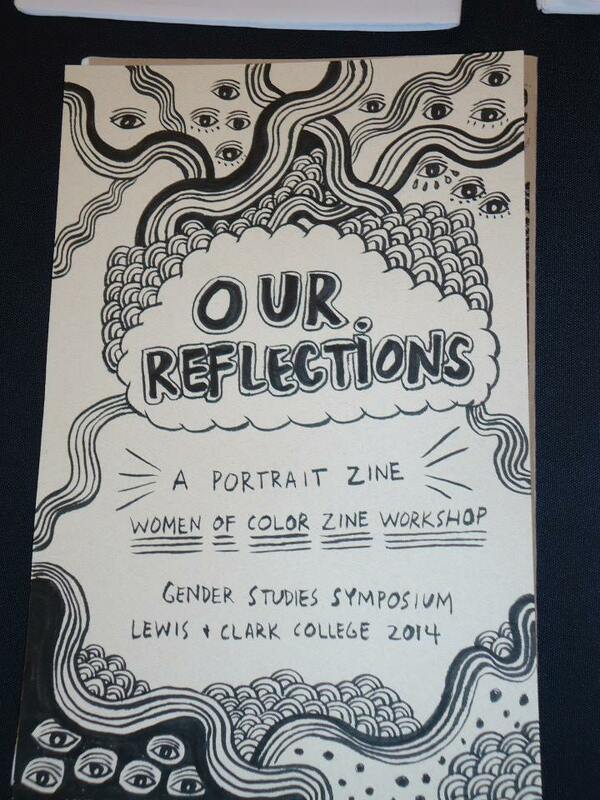 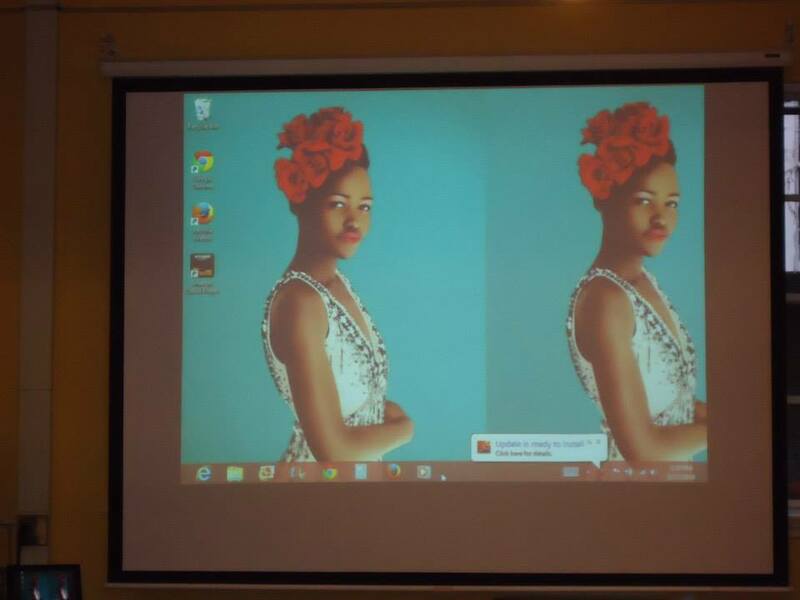 The Women of Color Zine Workshops represent at Lewis & Clark-Gender Symposium. 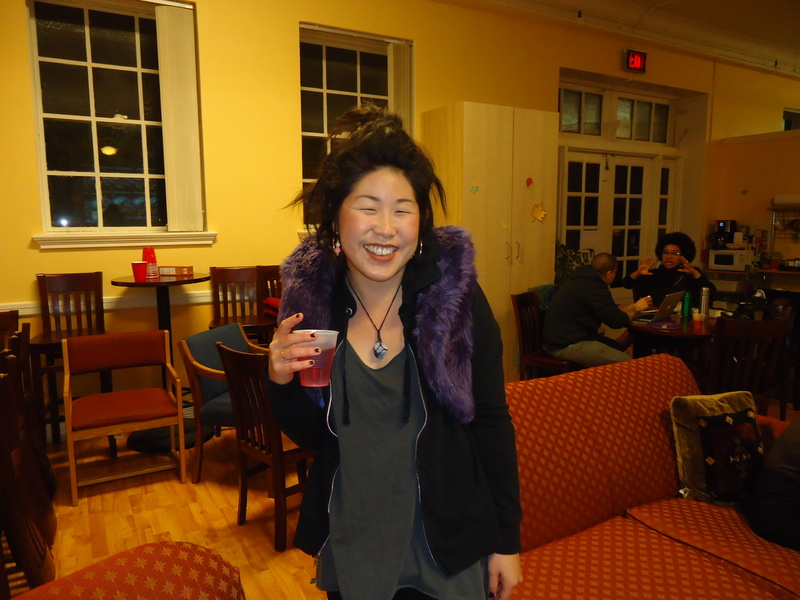 Ann Matsushima Chiu smiles at Lewis & Clark-Gender Symposium 2014. 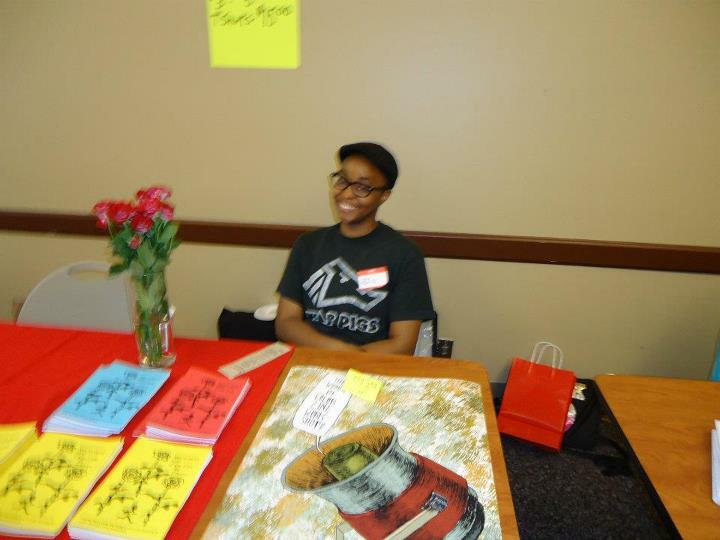 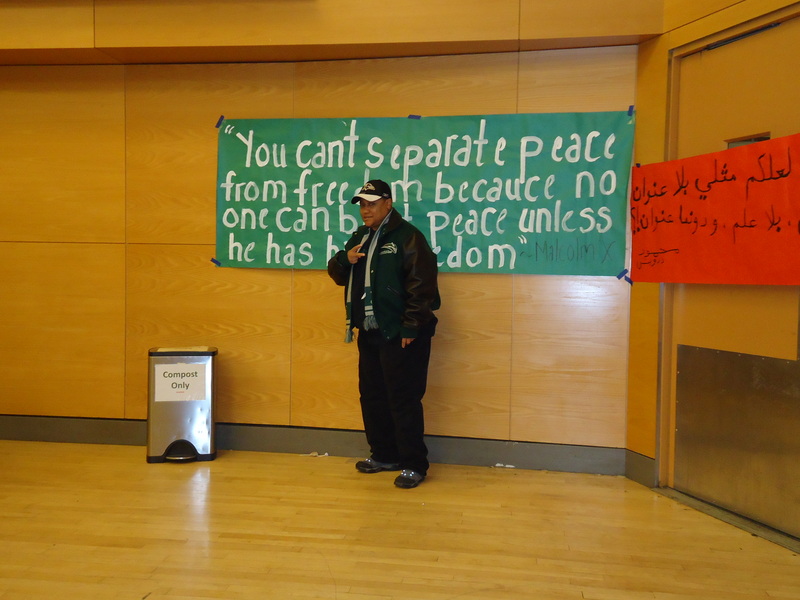 WOC Zine member at Palestinian Cultural Night @ Portland State University. 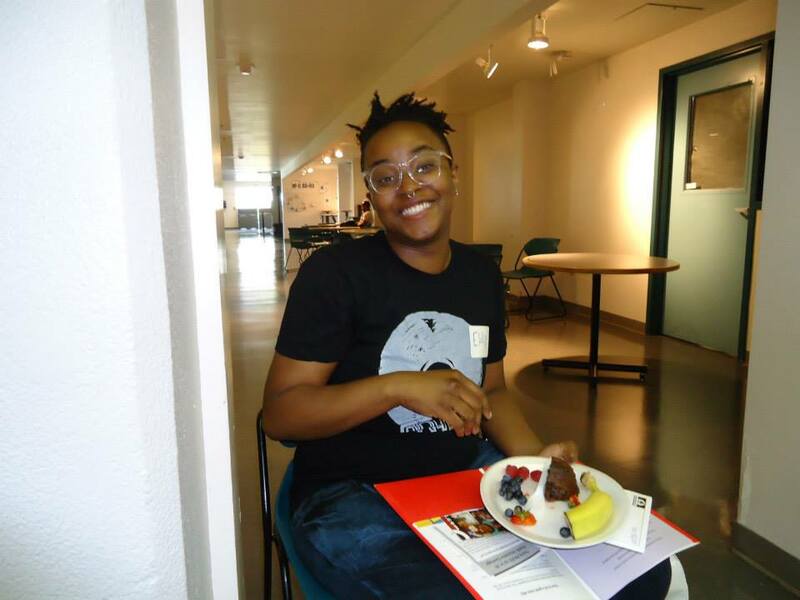 Attendee at WOC Zine Workshop February 21, 2014. 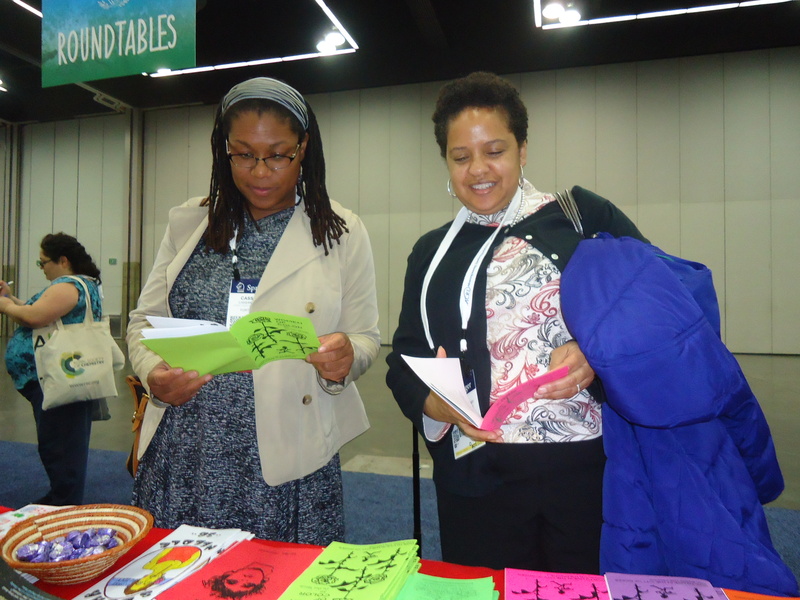 It makes our heart sing, when we see folks reading zines! 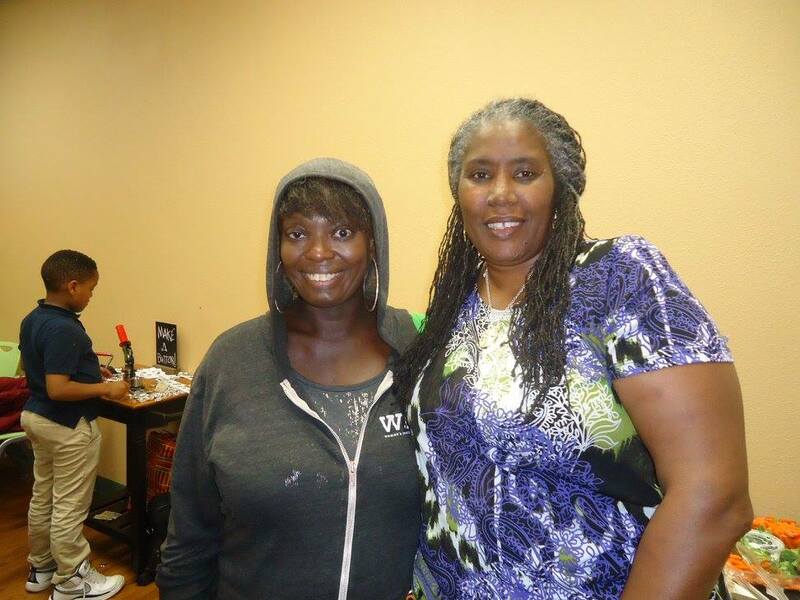 Tonya (WOC Zine member) attended the open house of the new natural hair/braid salon in downtown Portland…Conscious Coils. 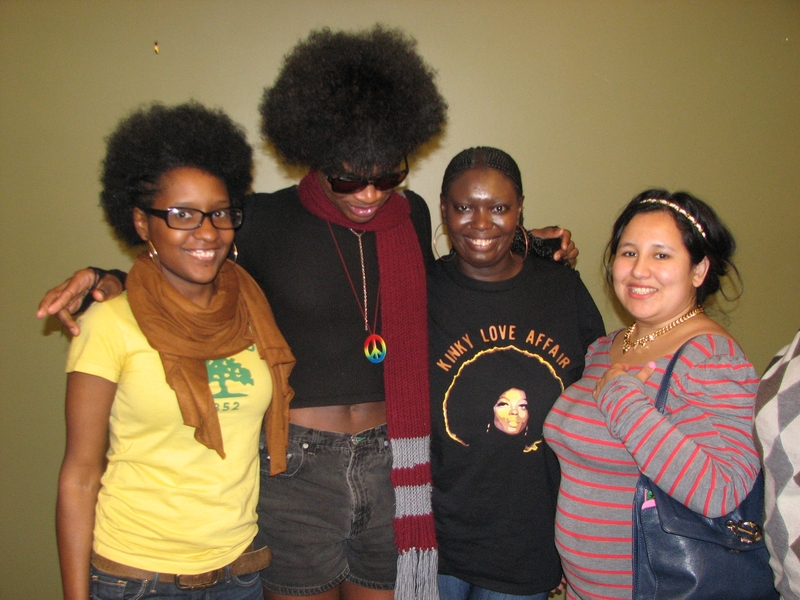 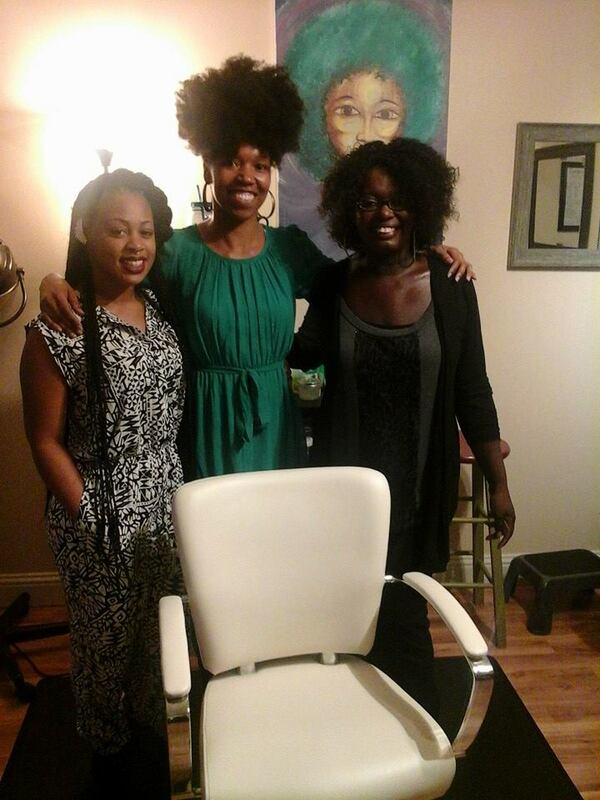 Left to Right: Amber Starks’s mentee, Amber Starks (owner/founder of Conscious Coils), and Tonya. 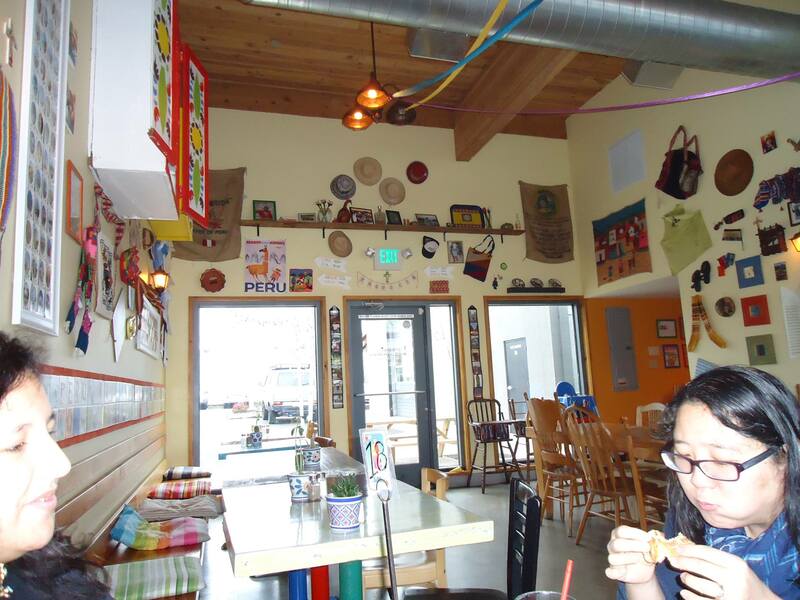 WOC Zine members get their grub on @ Las Primas. 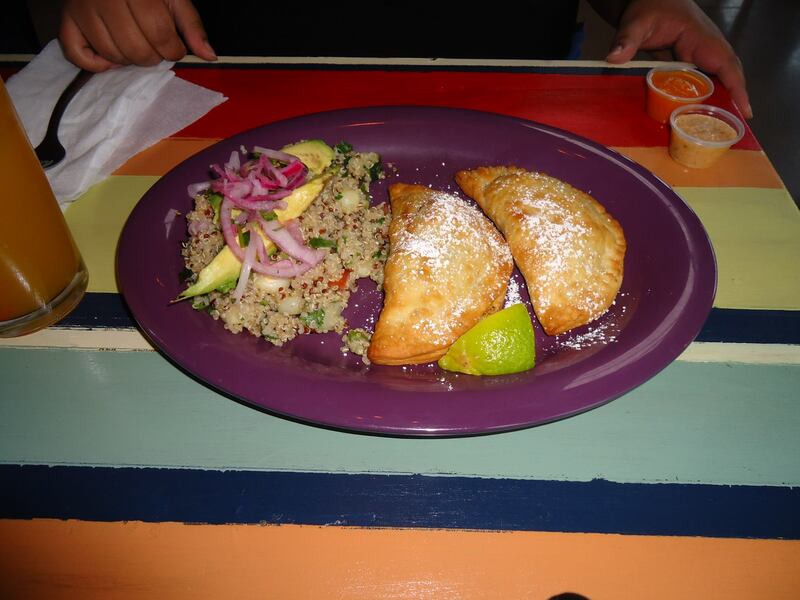 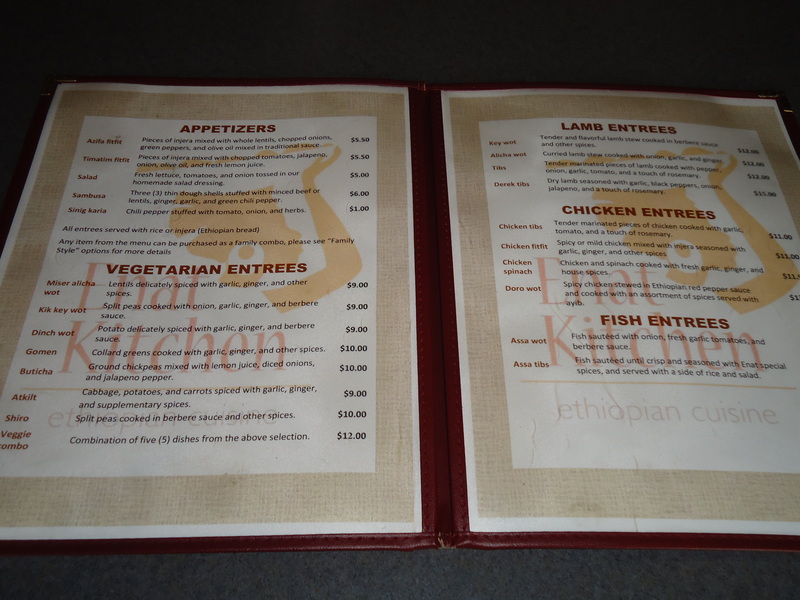 Delicious meal at Las Primas. 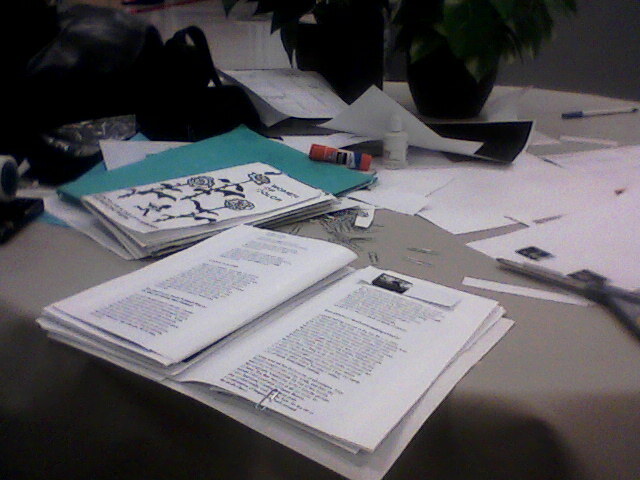 Women of Color Zine Social @ Las Primas. 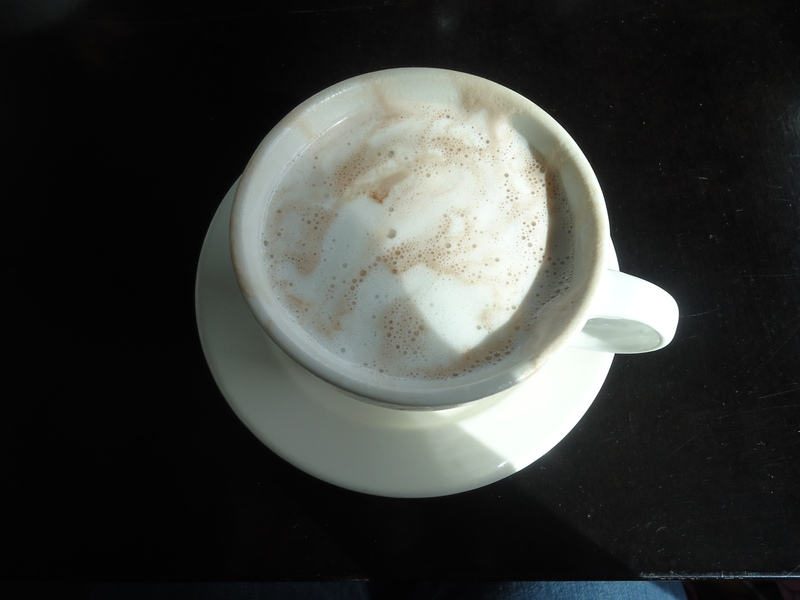 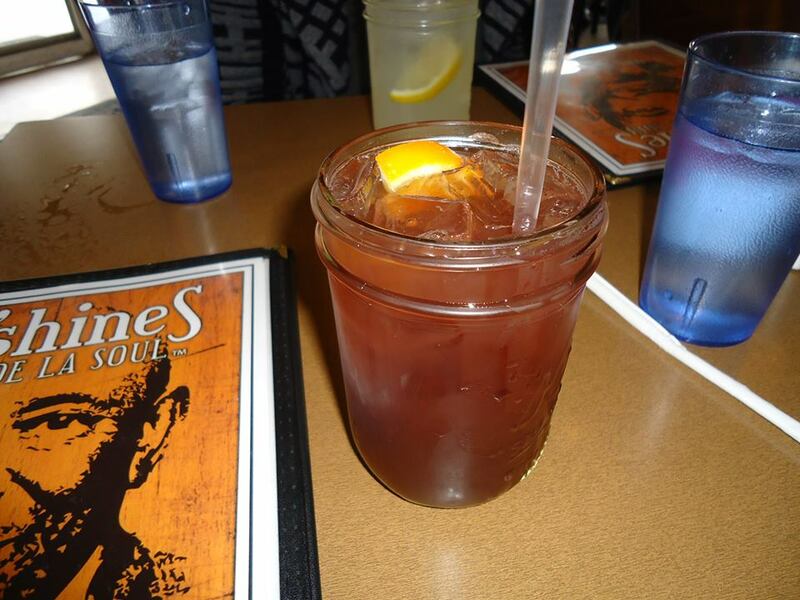 Sunday, November 17, 2013. 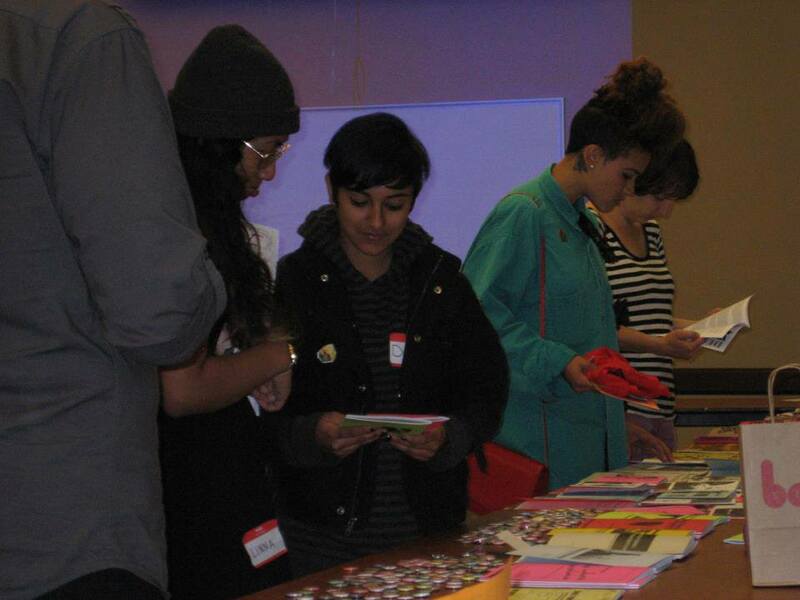 The socials are an opportunity for woc zine attendees to get to know each other outside of the workshops. 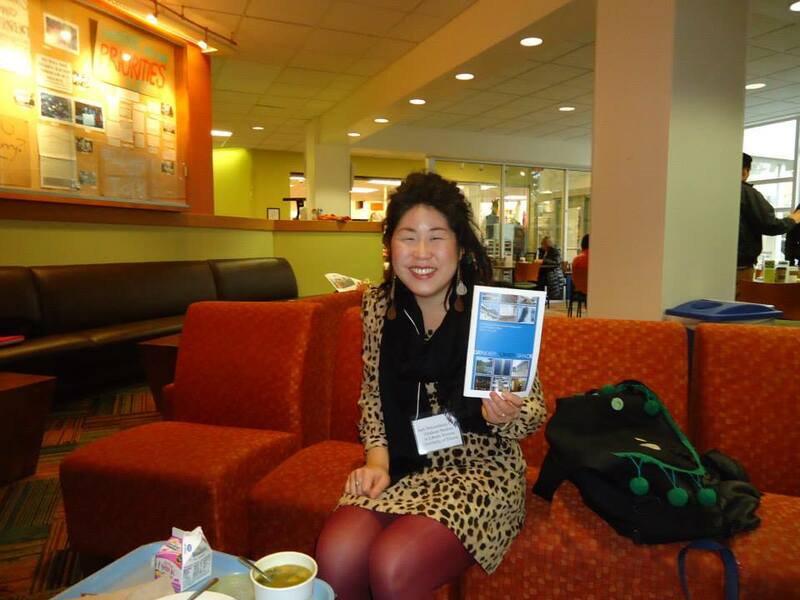 Ann a’misa Chiu at the Nov.15 2013 WOC Zine Workshop. 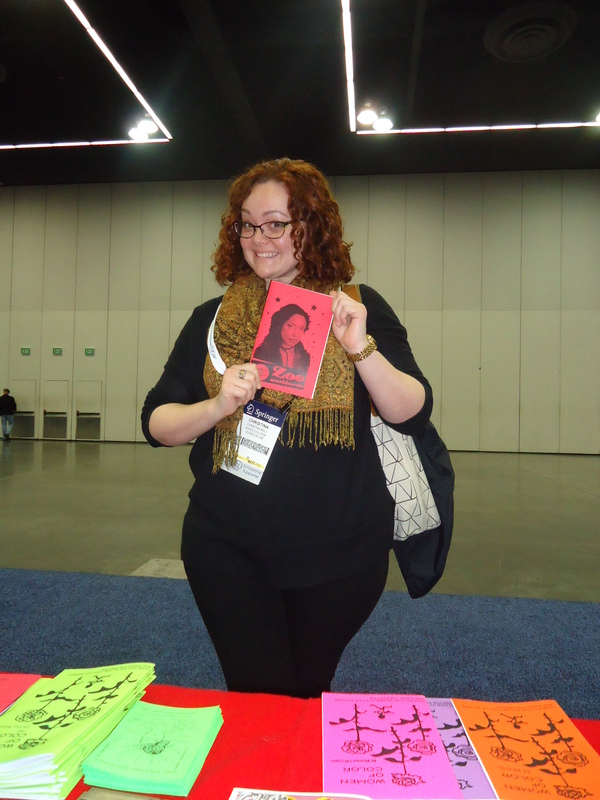 Pati Garcia tour member/zinester/Doula with the POC Zine Project. 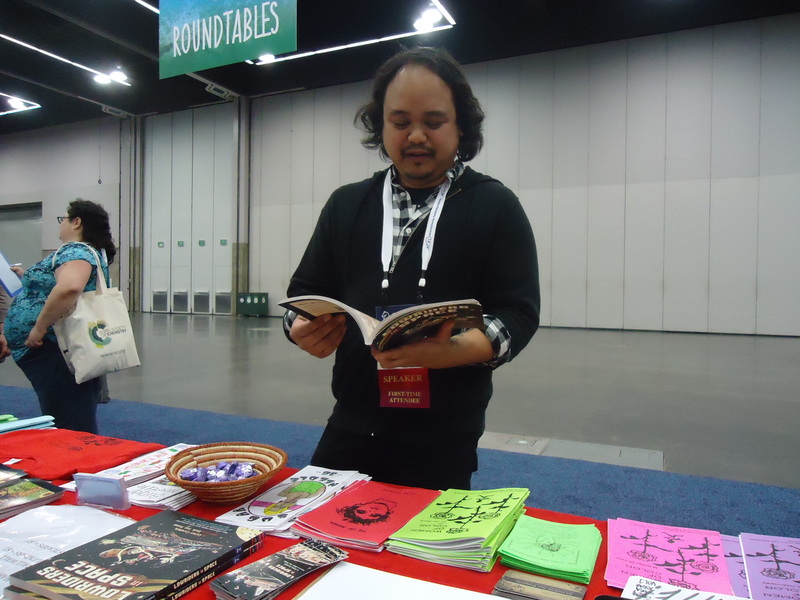 The People of Color (POC) Zine Project visits Portland. 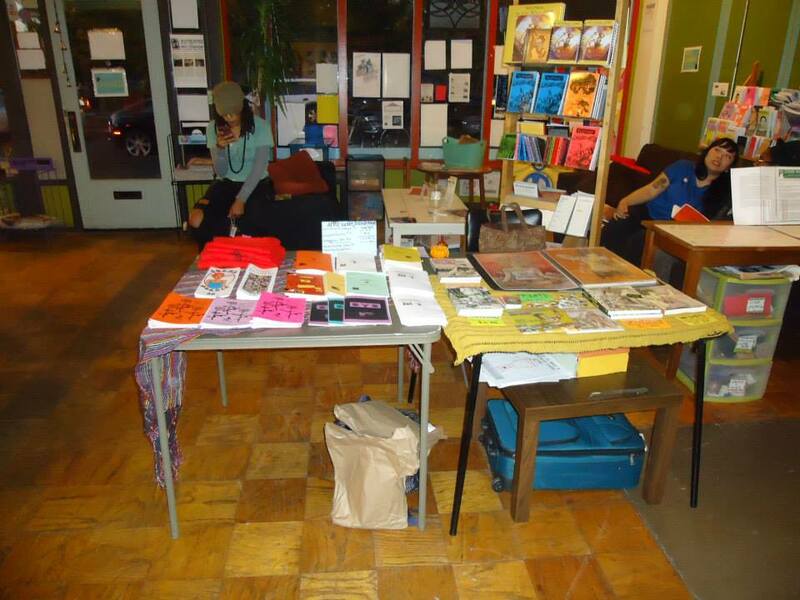 The event was held at In Other Words Bookstore. 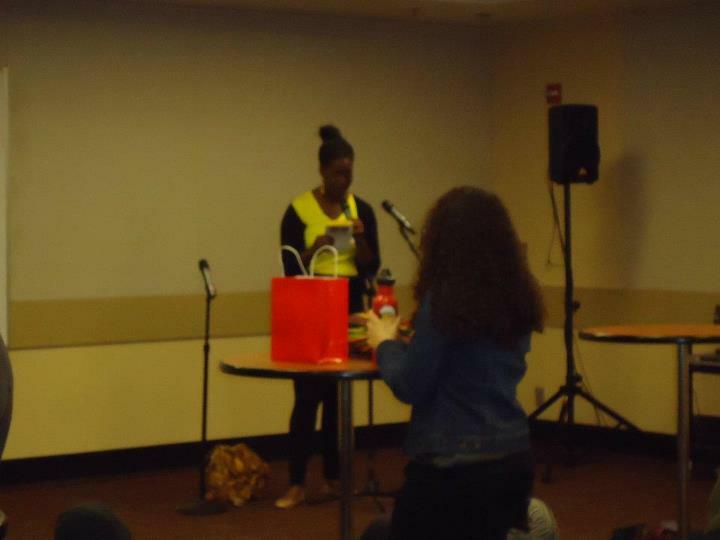 Attendee shares her work at our open mic workshop. 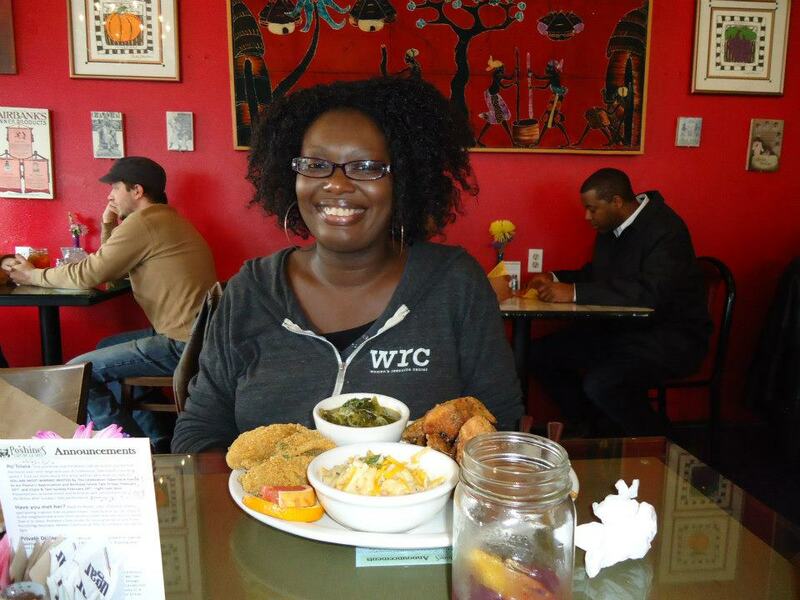 Tonya at a WOC Zinesters lunch.